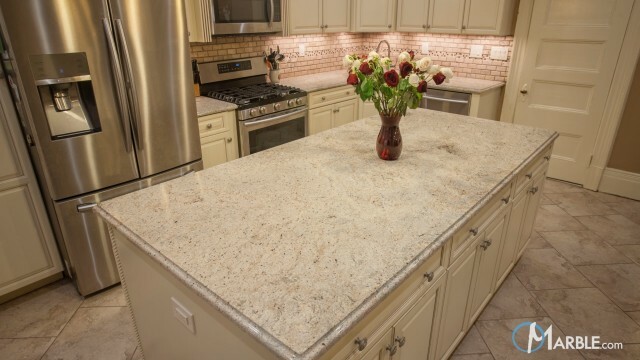 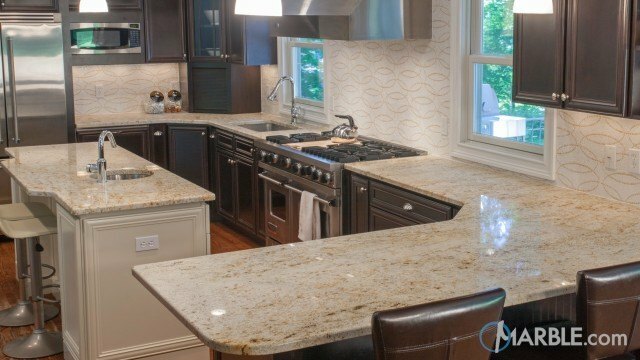 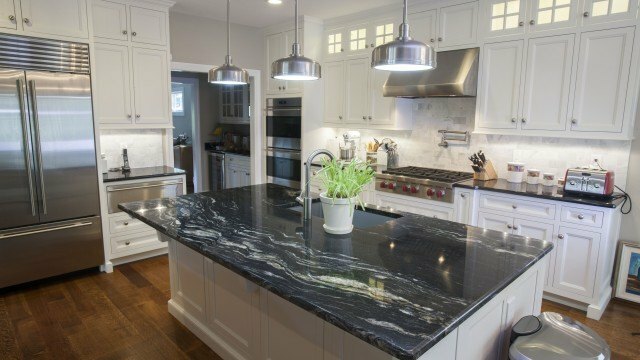 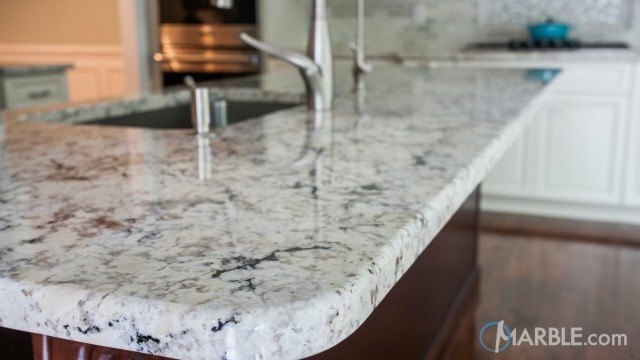 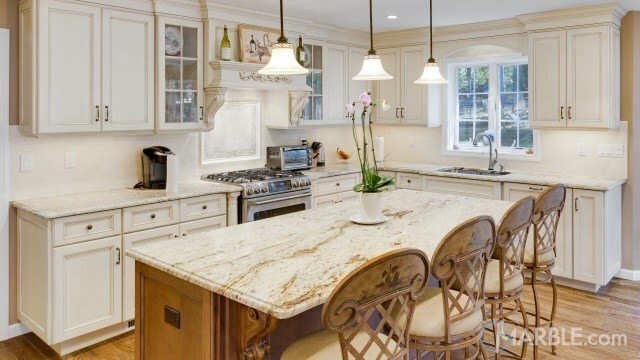 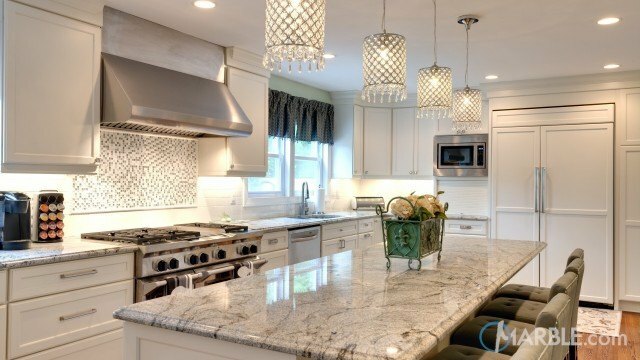 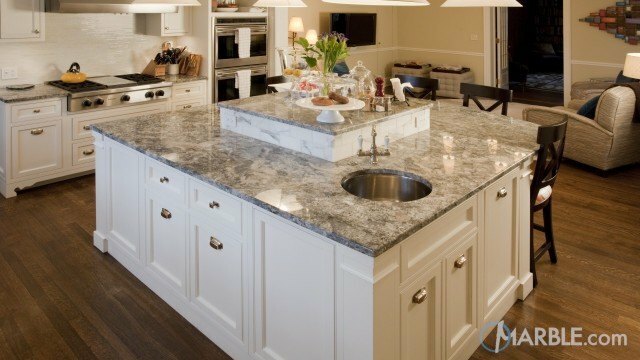 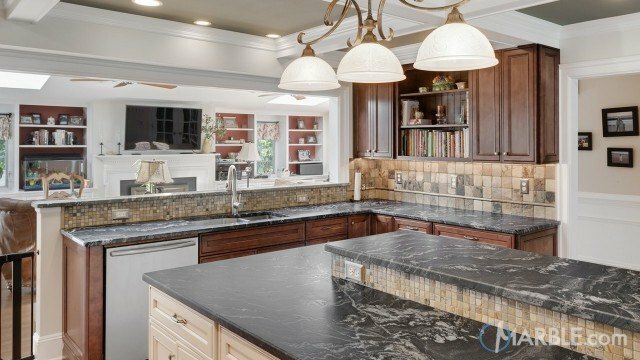 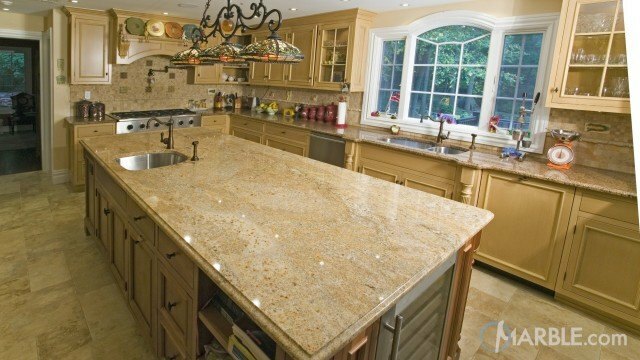 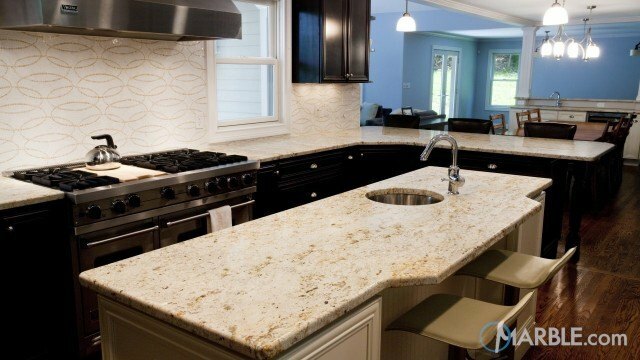 A dark kitchen is brightened up by the white, grey and gold swirling veins of River White granite with a Straight Edge. 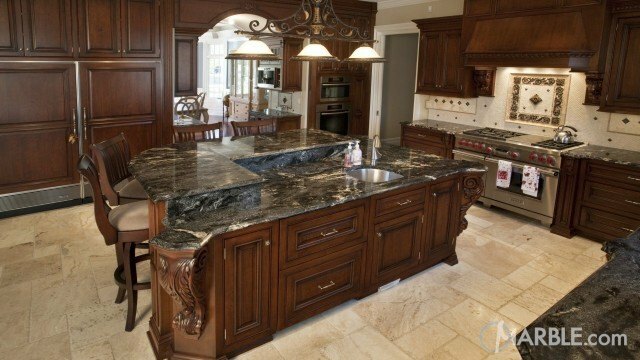 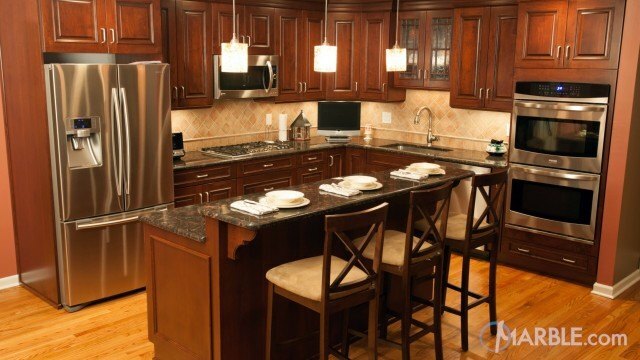 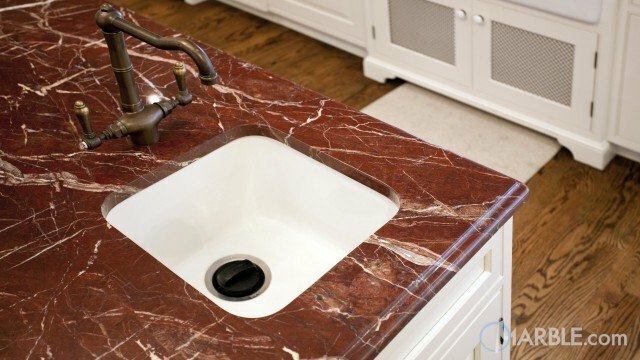 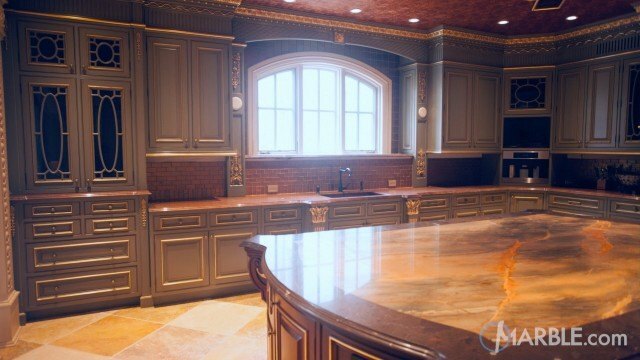 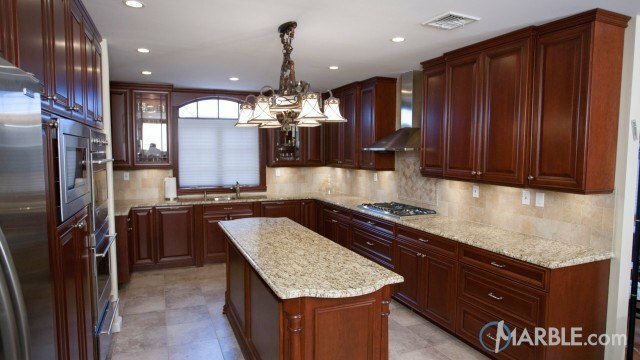 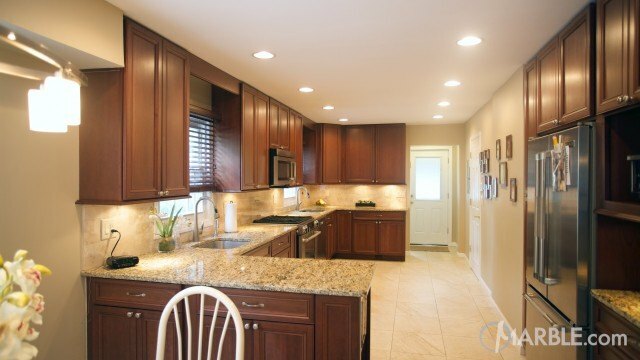 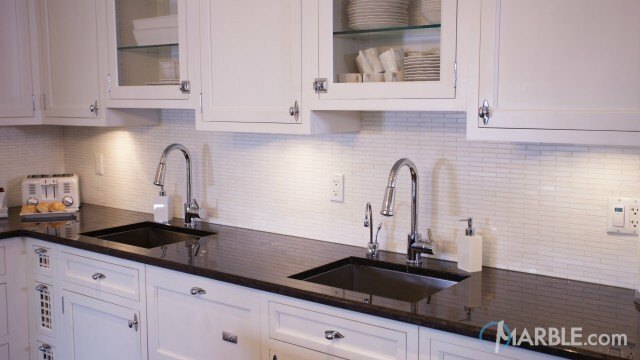 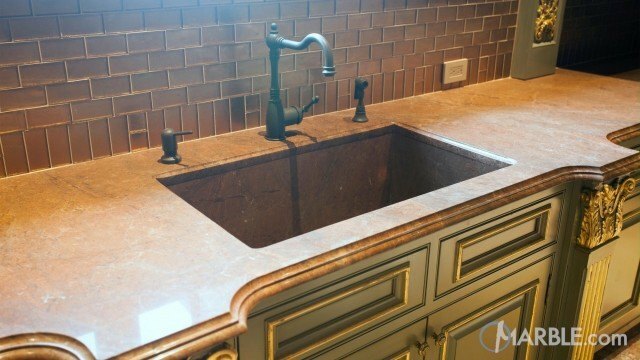 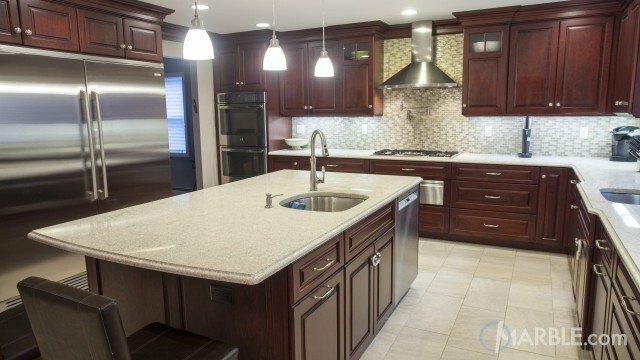 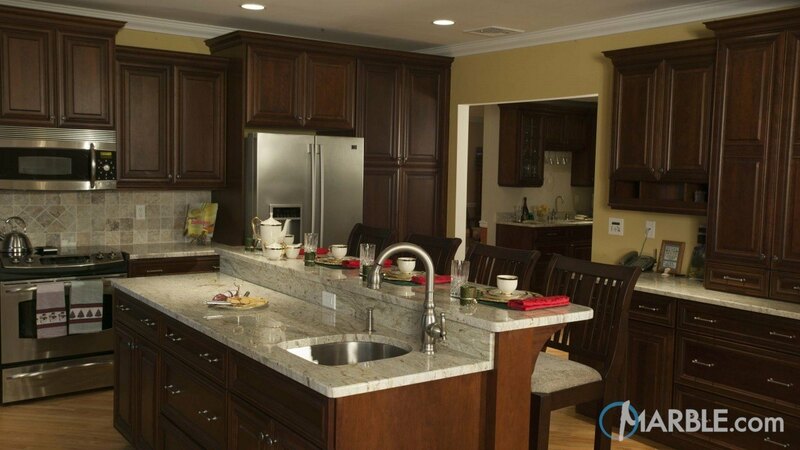 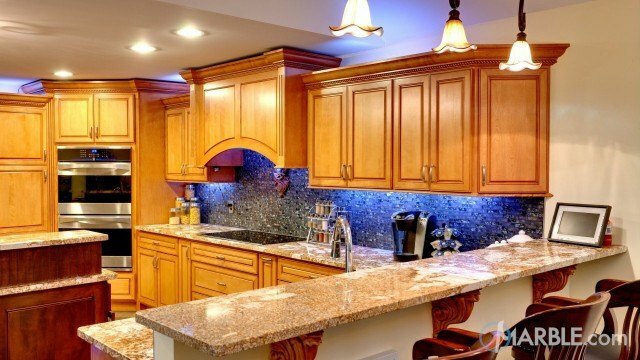 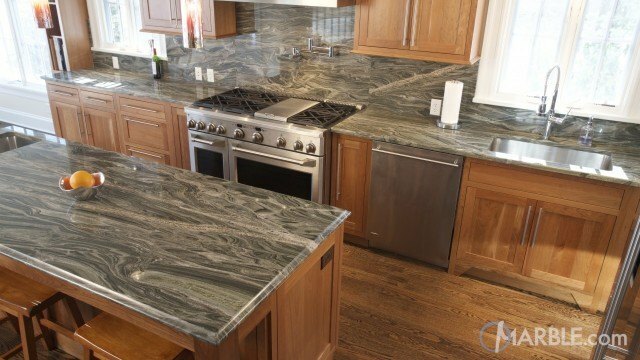 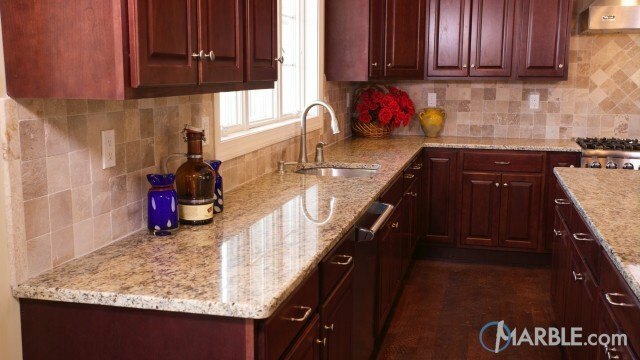 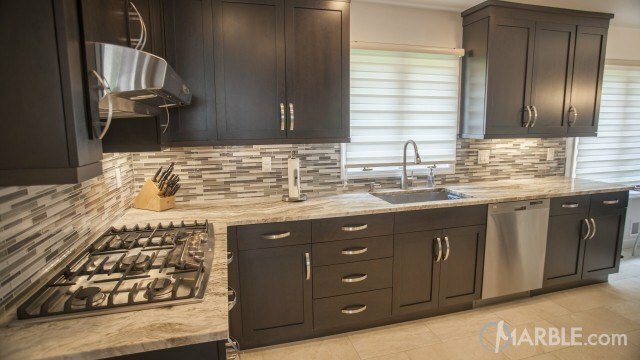 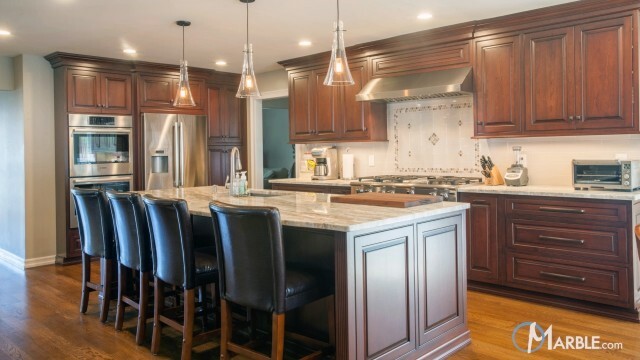 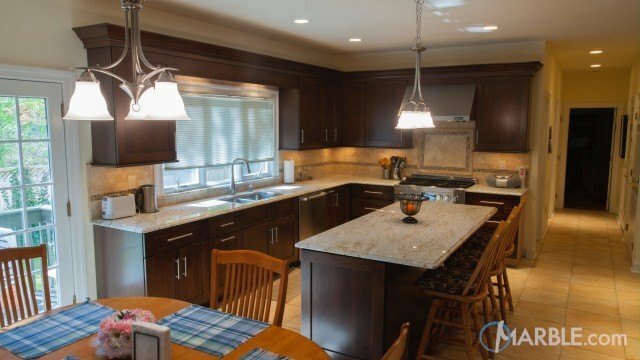 Dark wood cabinets contrast the light stone, allowing its true beauty to shine through. 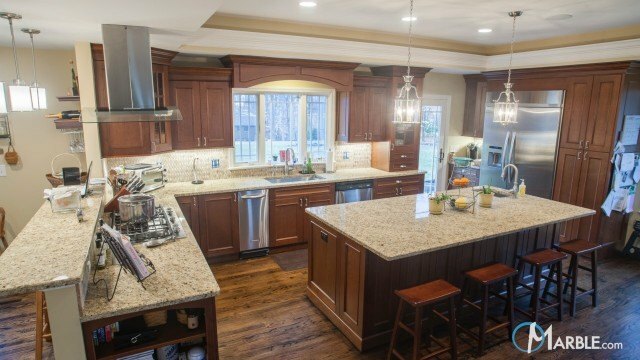 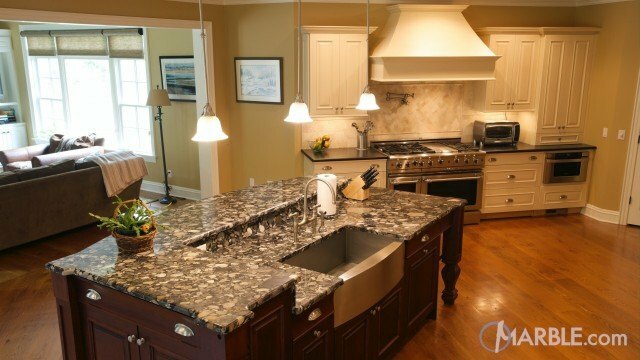 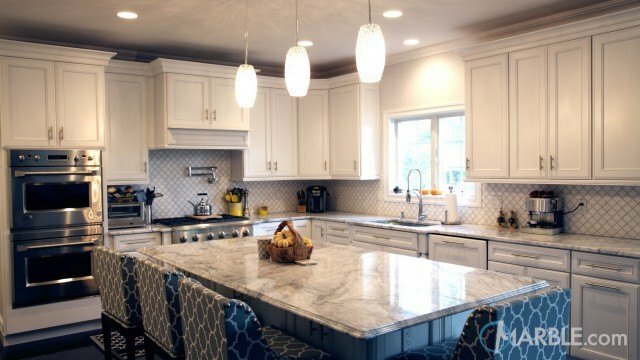 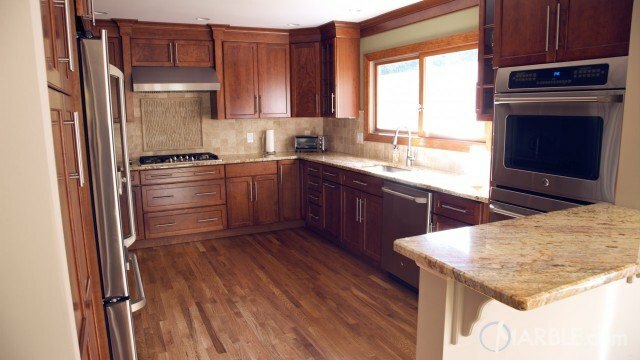 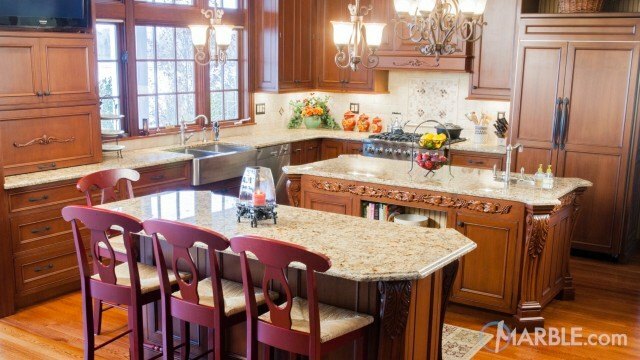 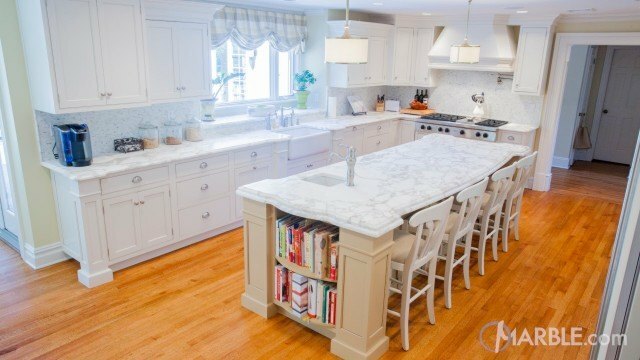 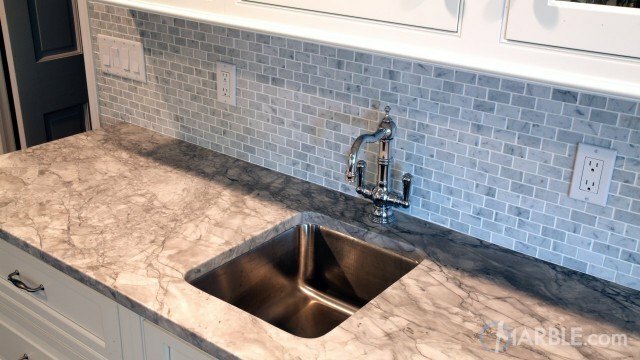 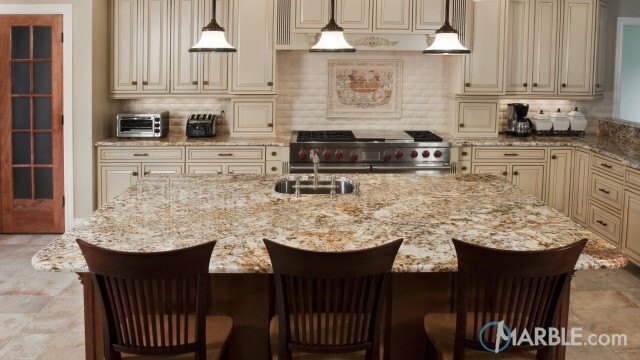 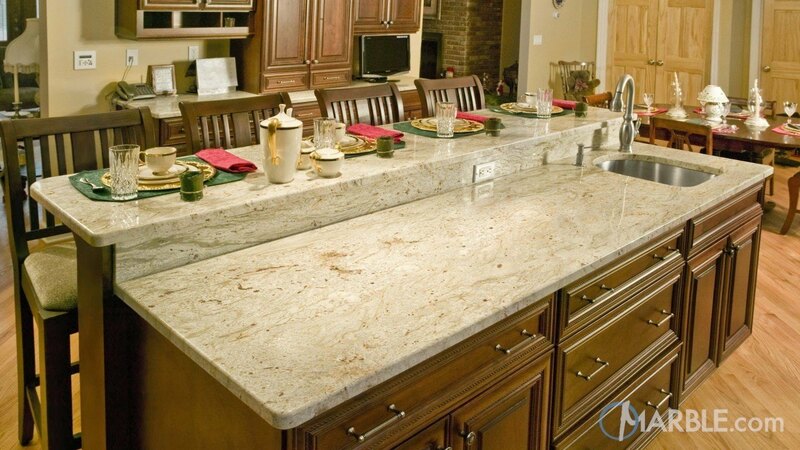 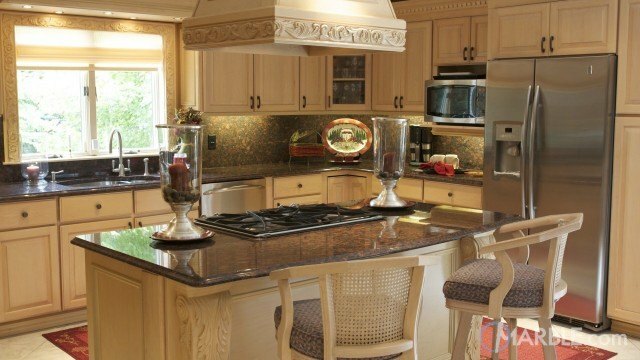 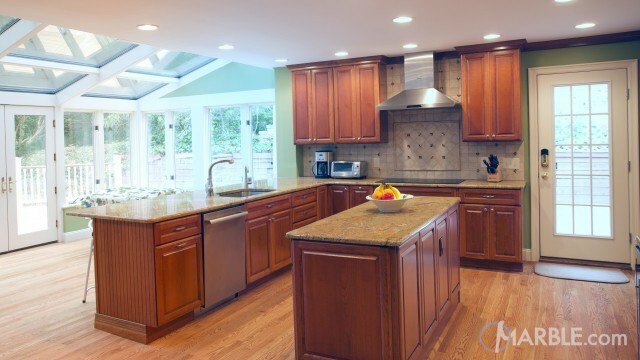 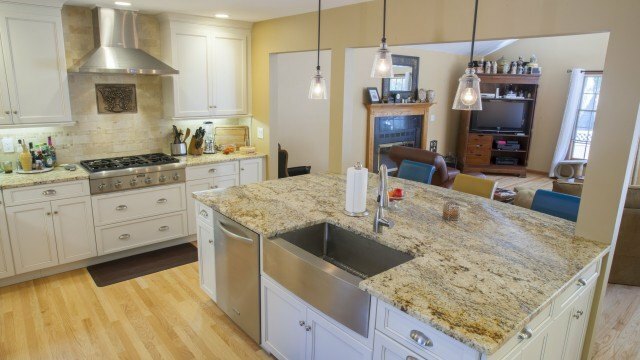 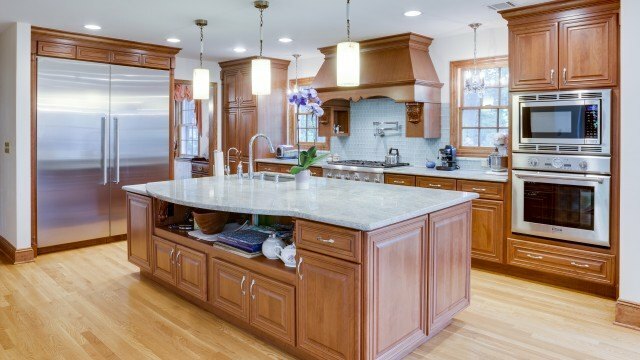 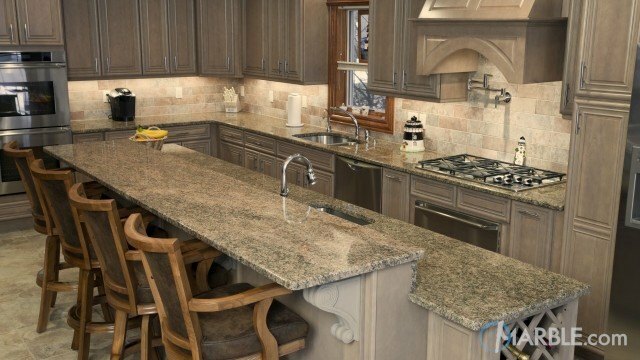 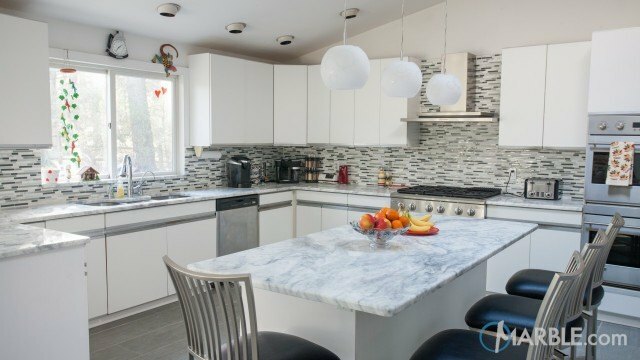 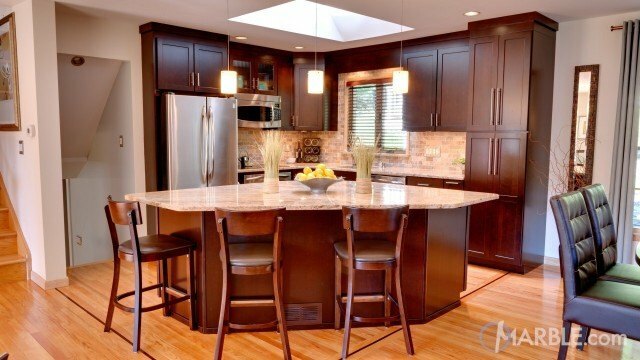 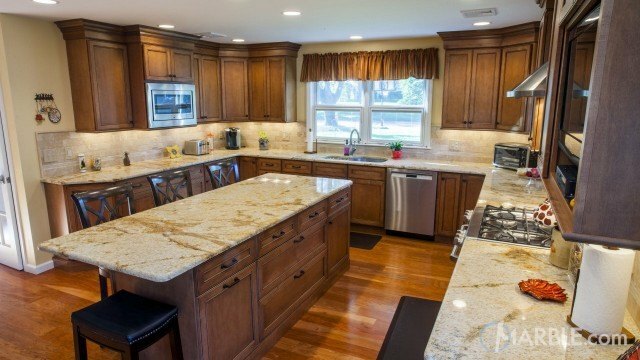 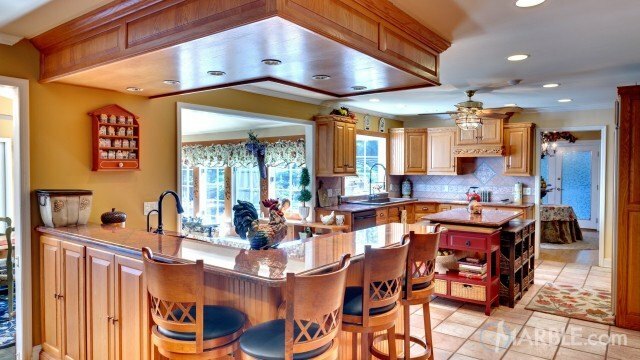 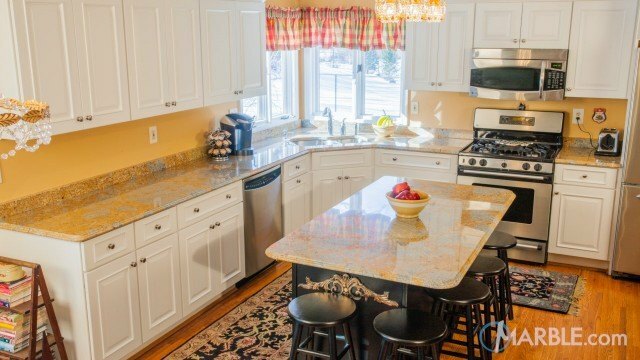 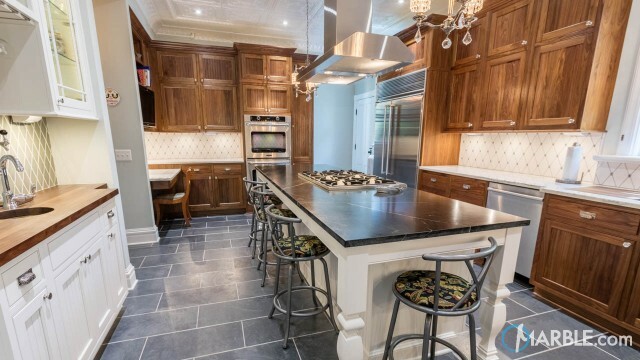 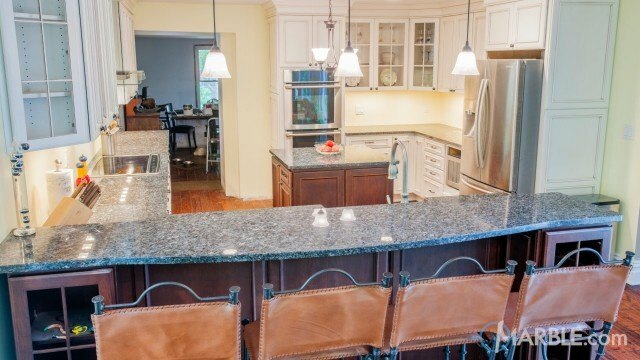 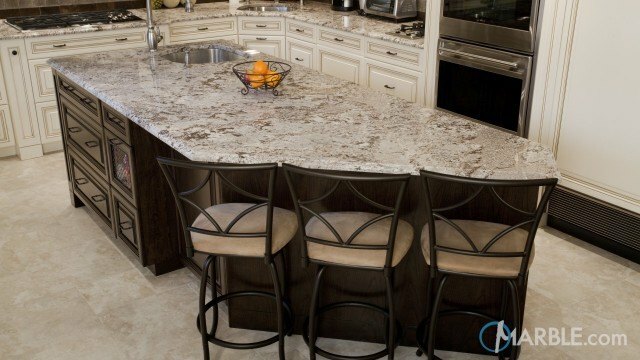 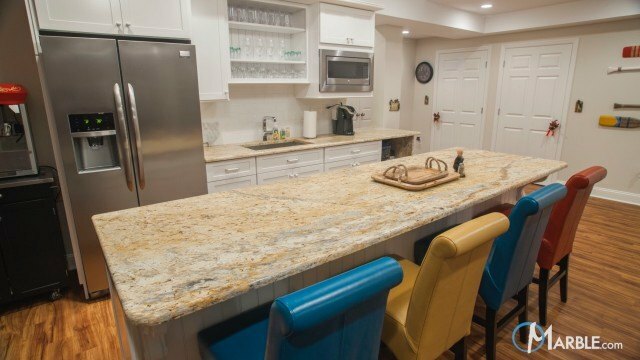 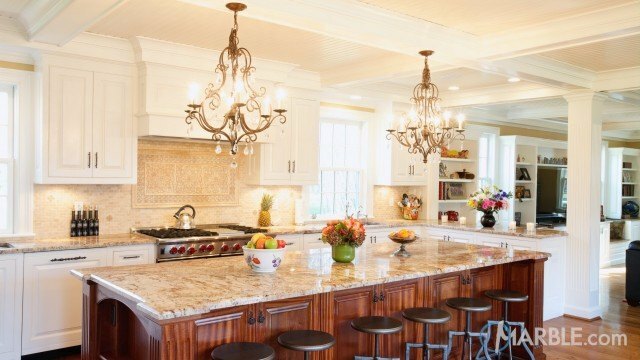 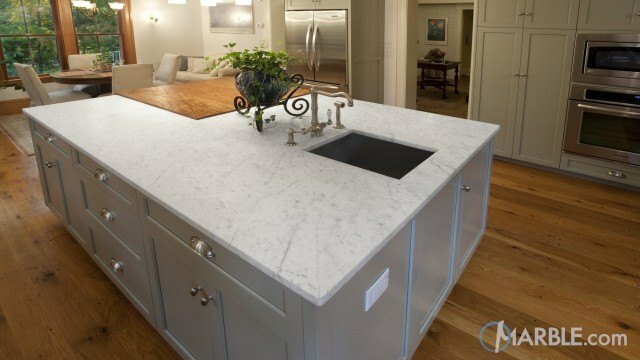 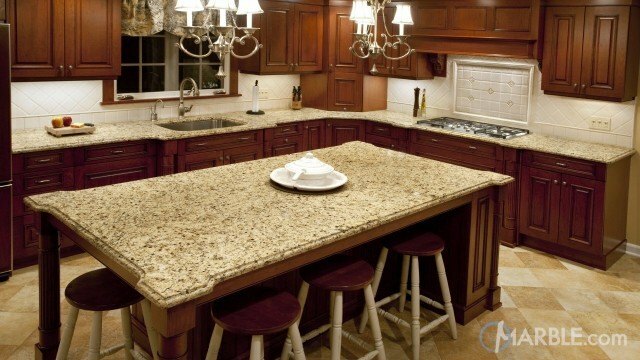 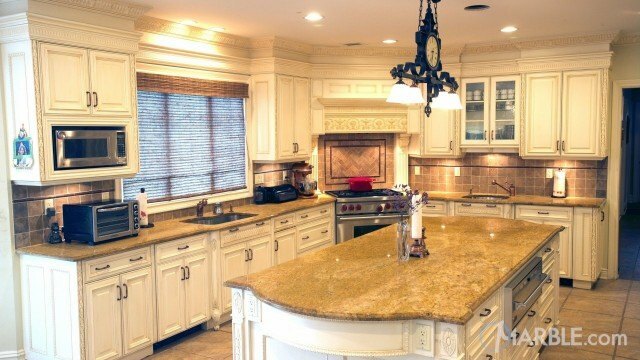 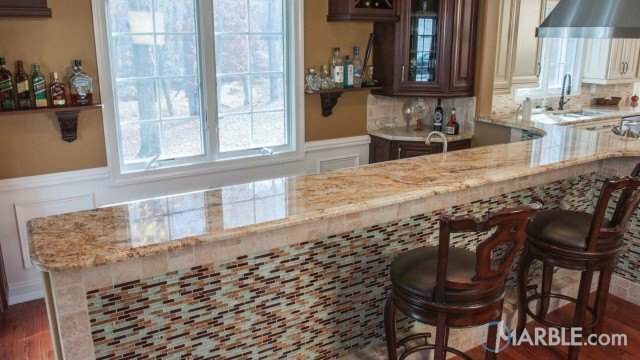 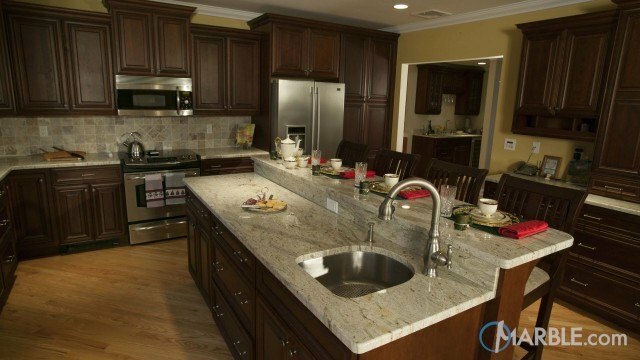 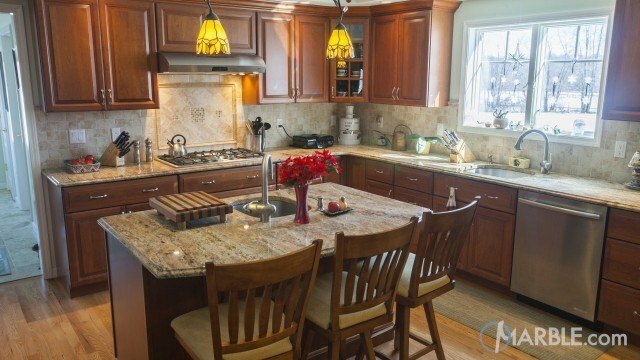 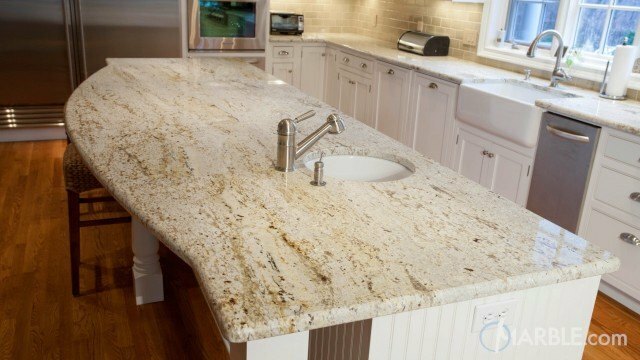 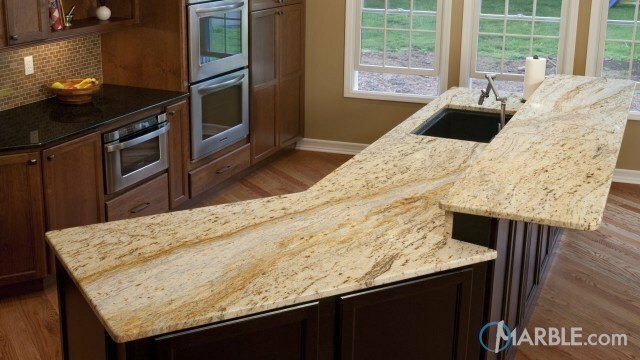 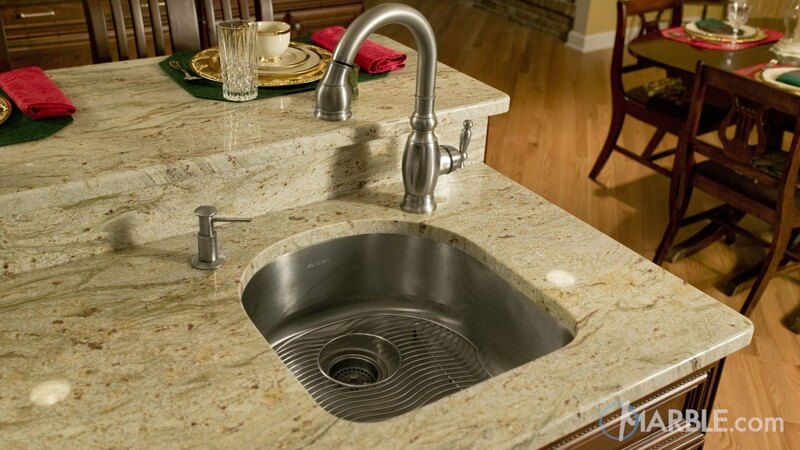 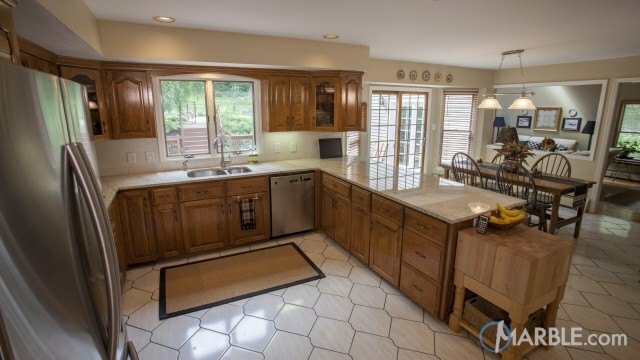 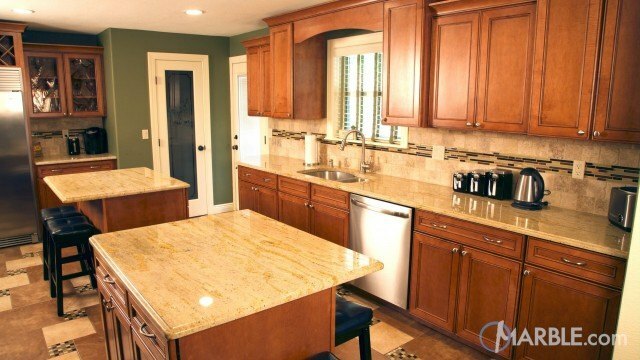 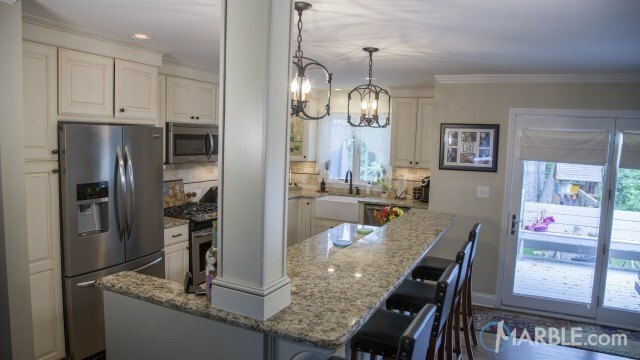 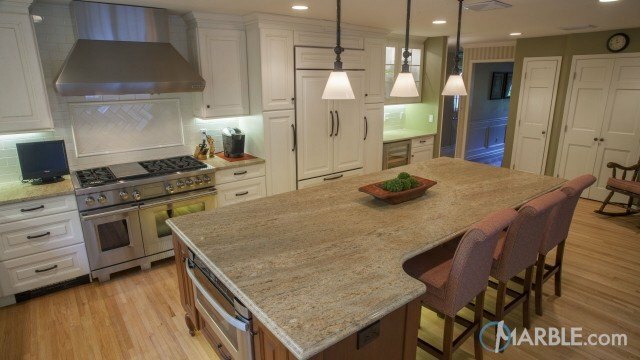 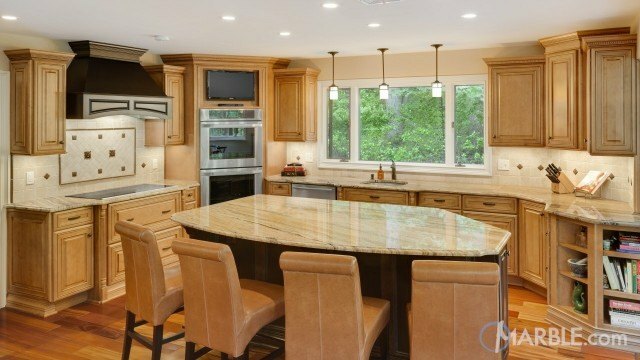 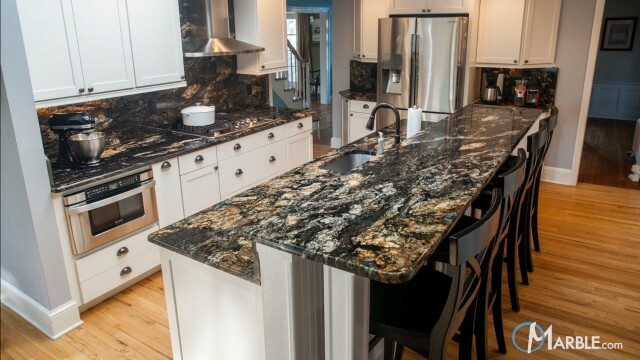 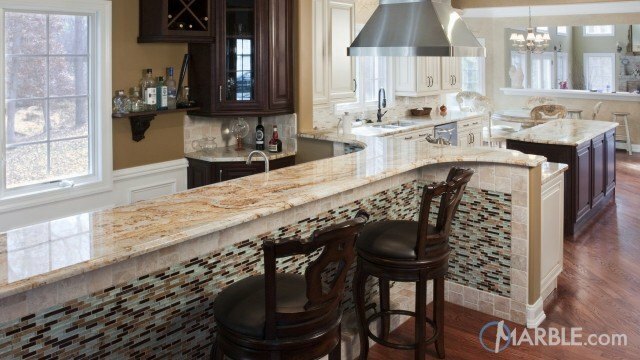 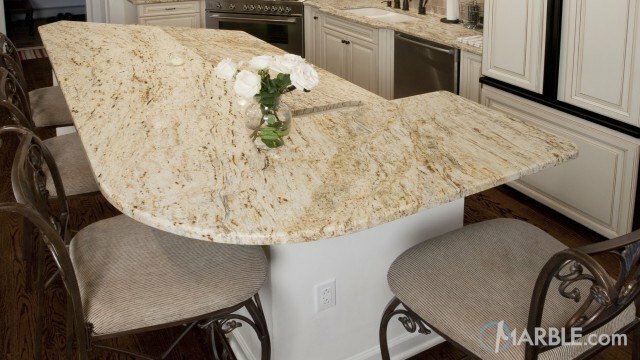 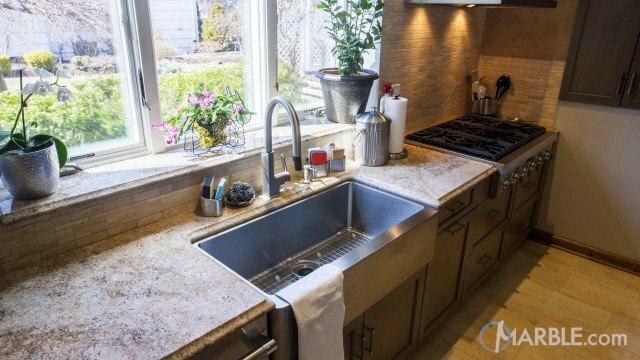 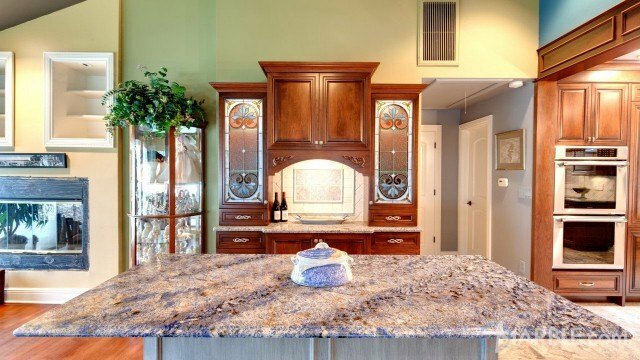 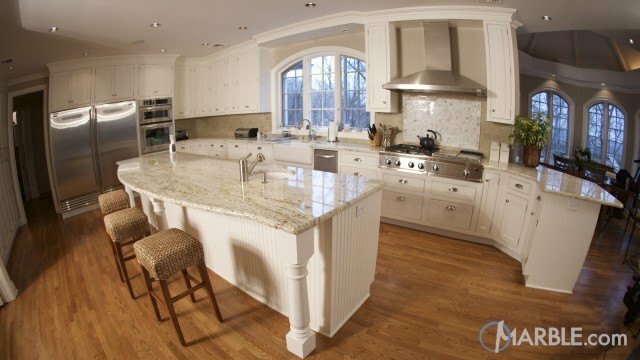 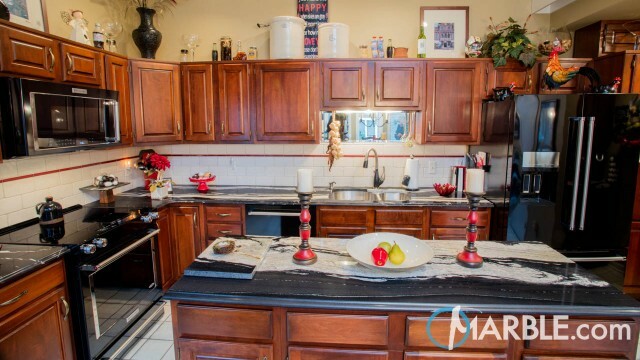 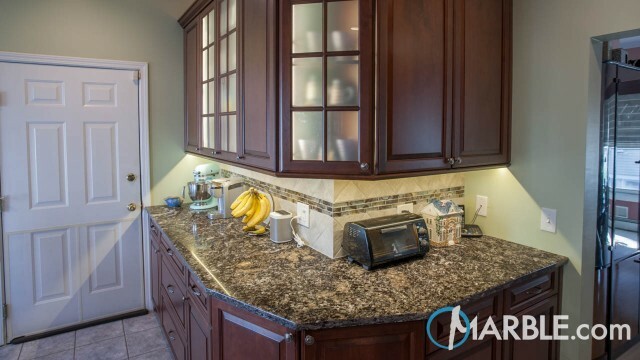 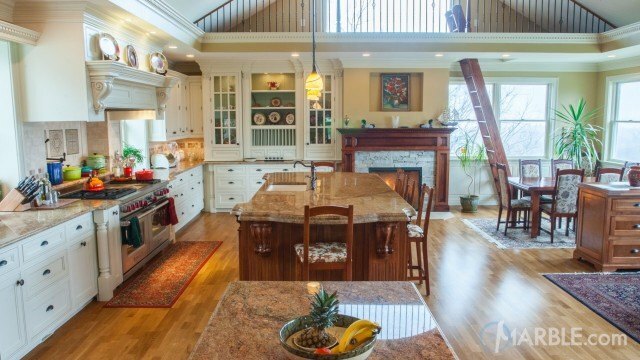 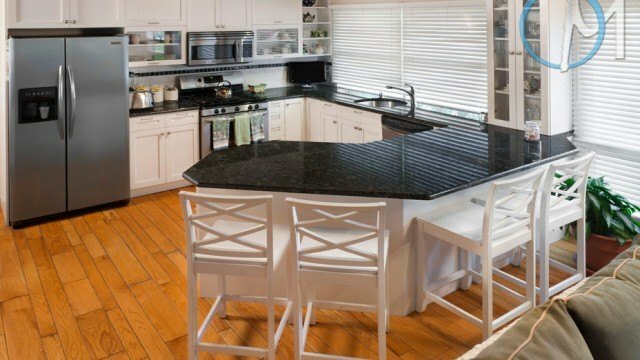 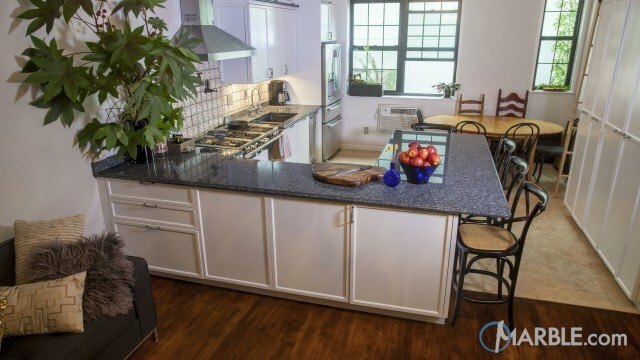 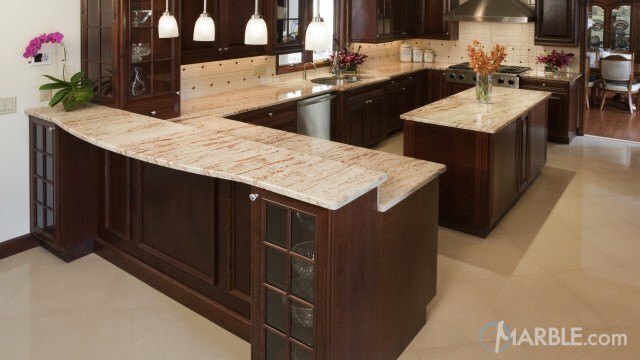 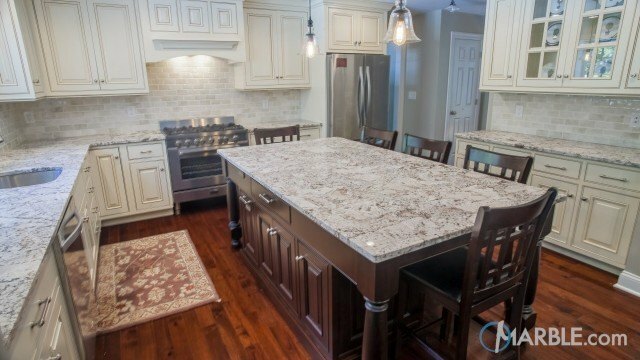 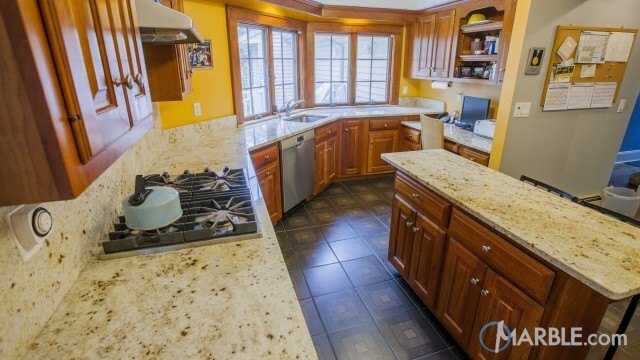 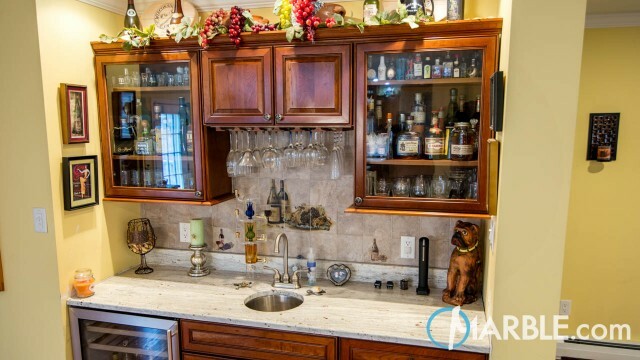 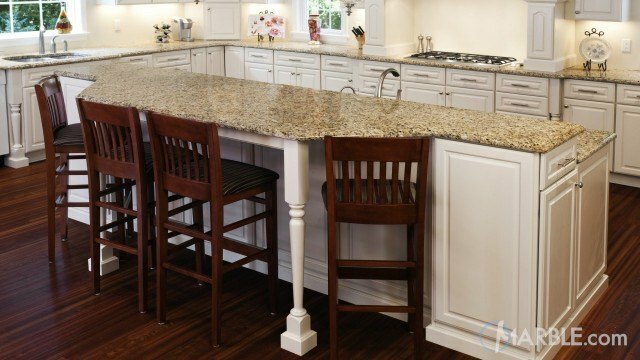 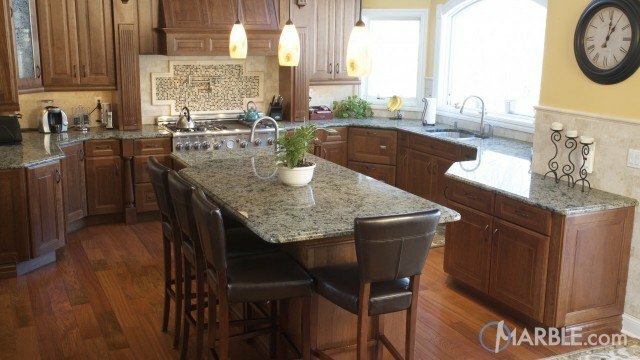 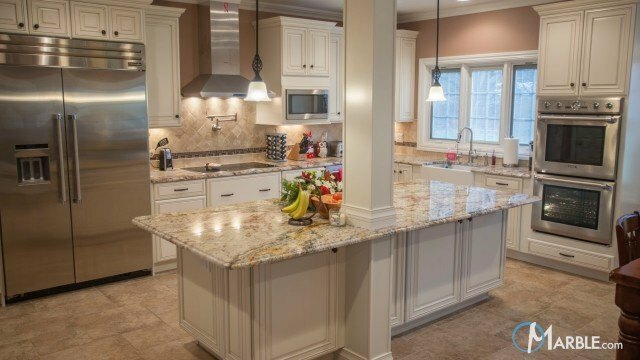 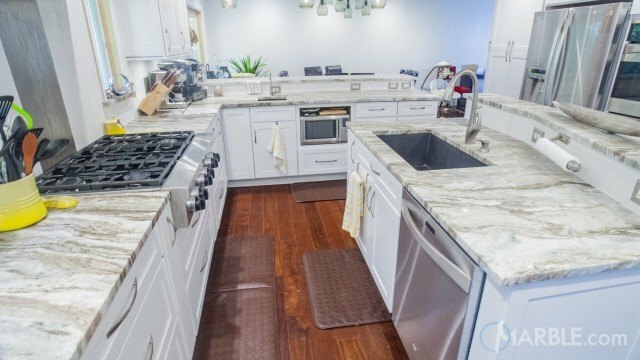 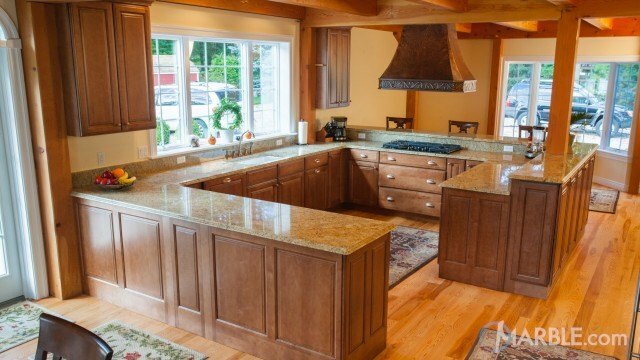 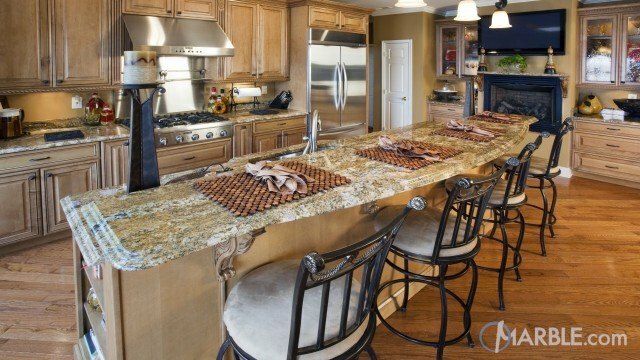 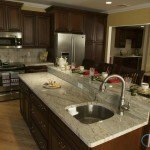 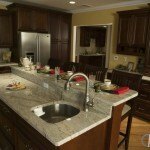 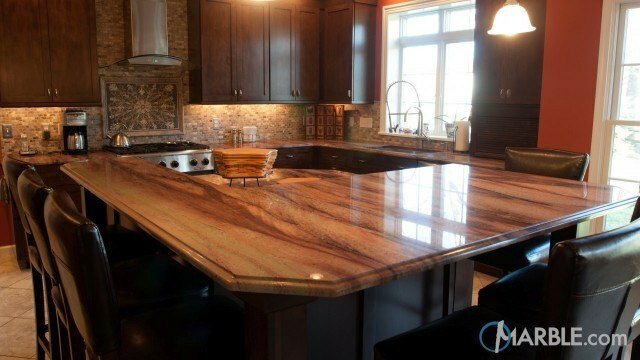 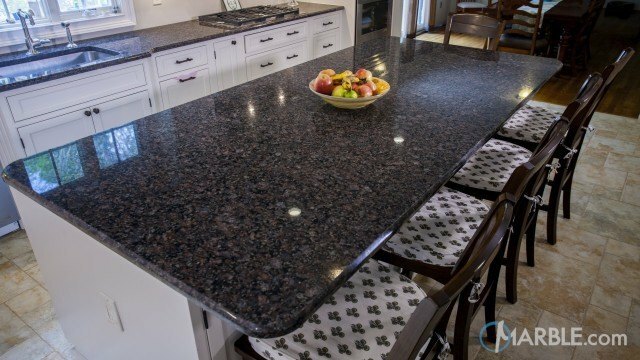 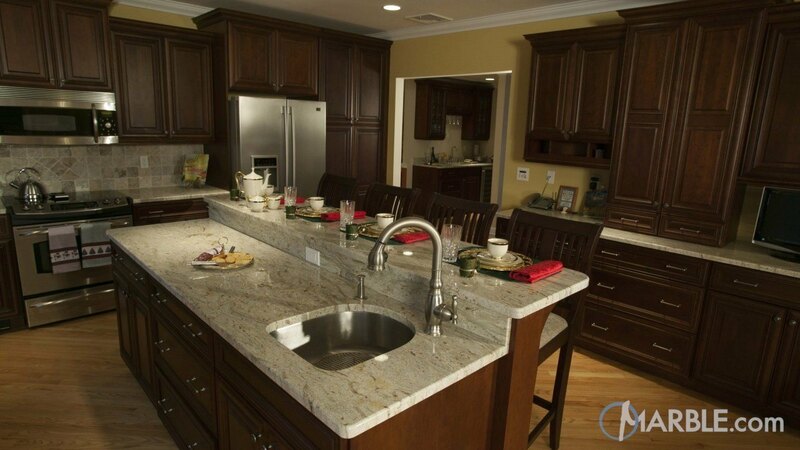 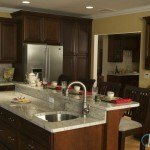 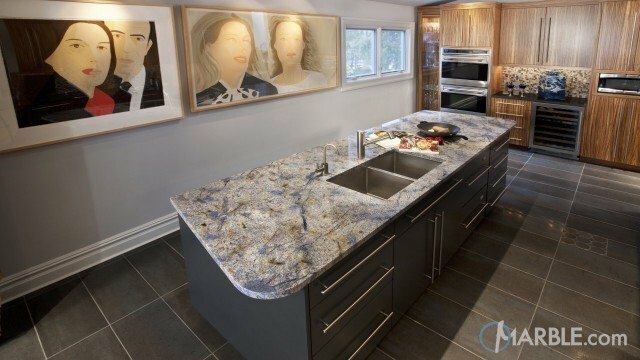 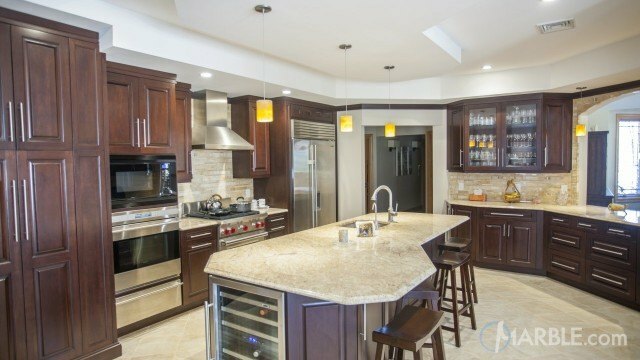 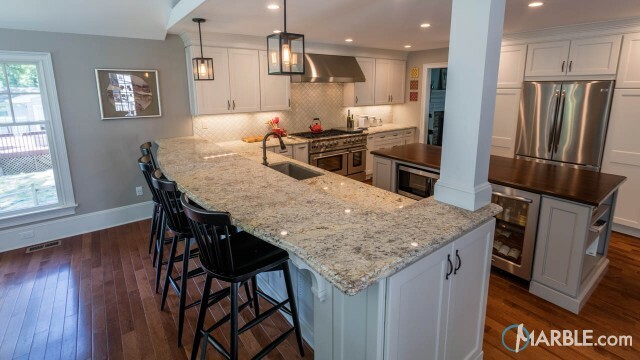 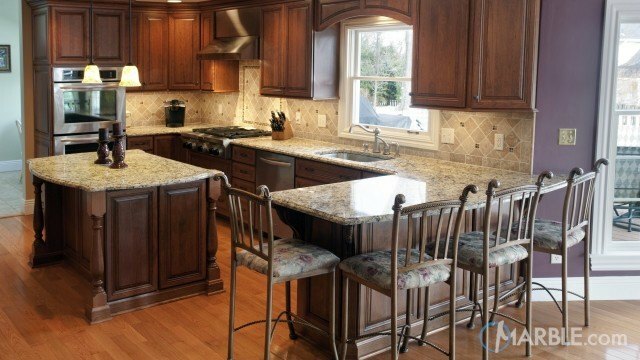 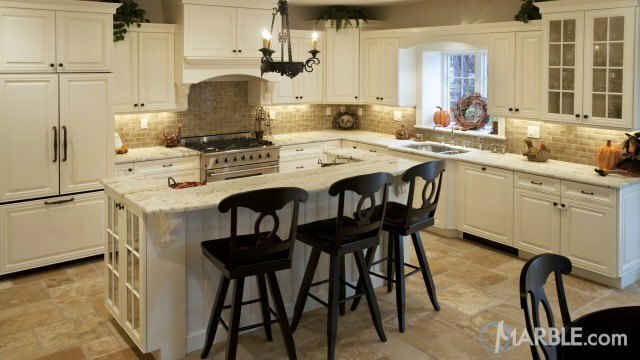 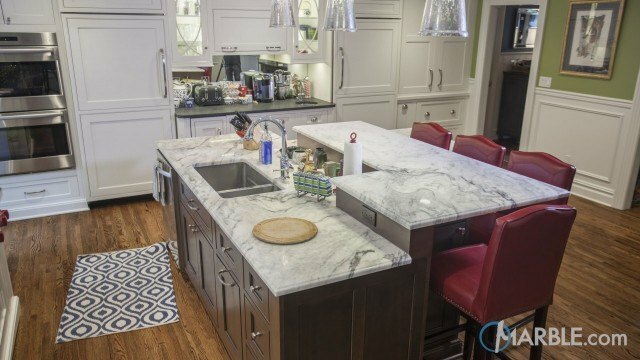 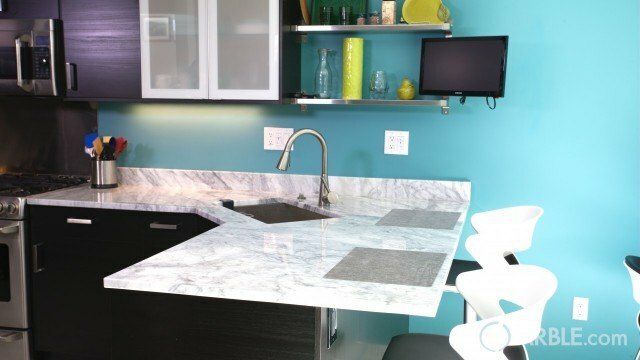 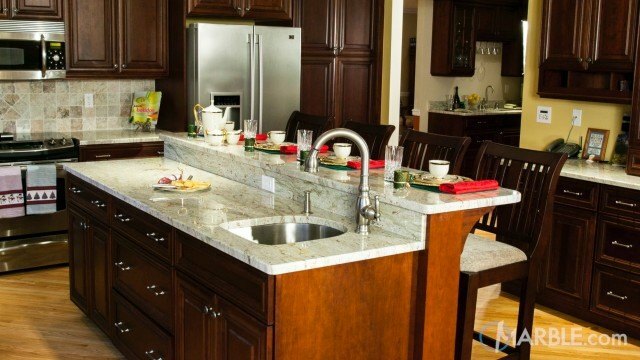 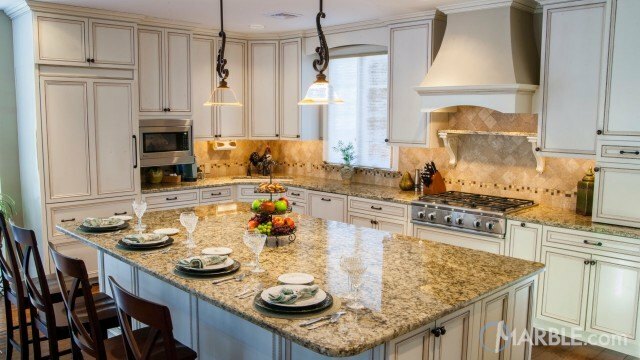 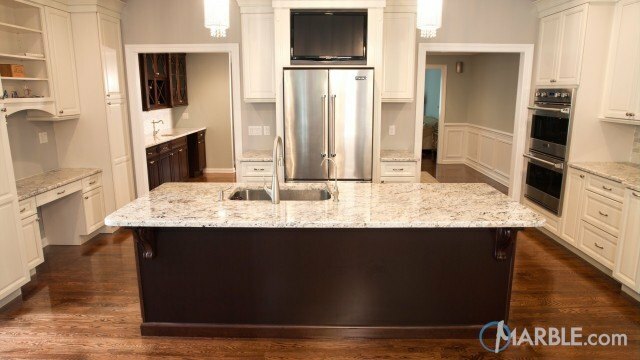 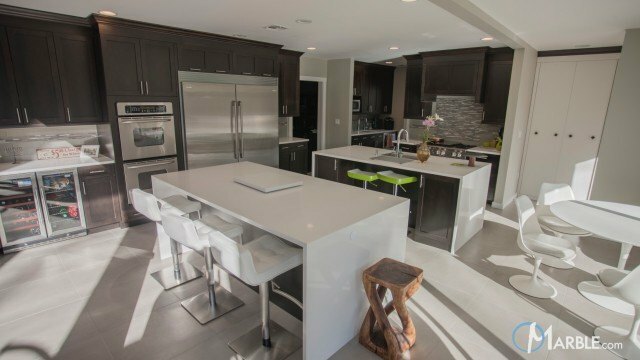 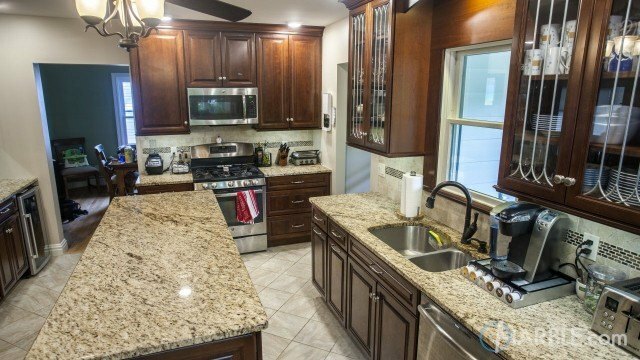 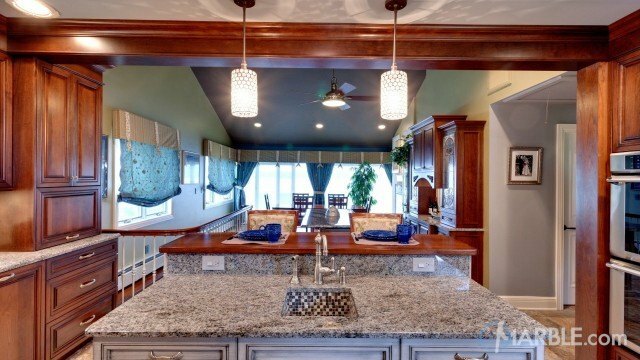 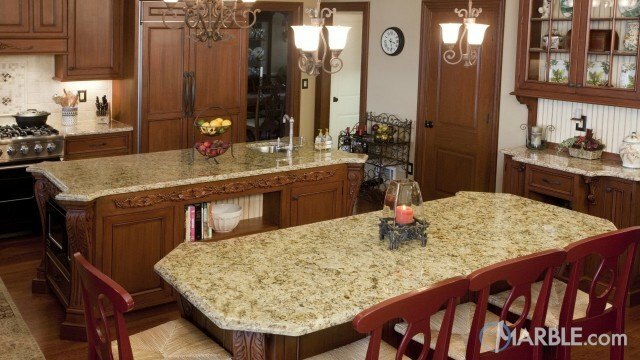 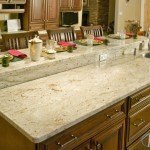 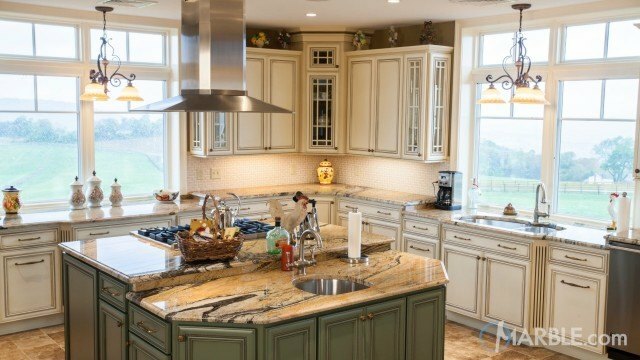 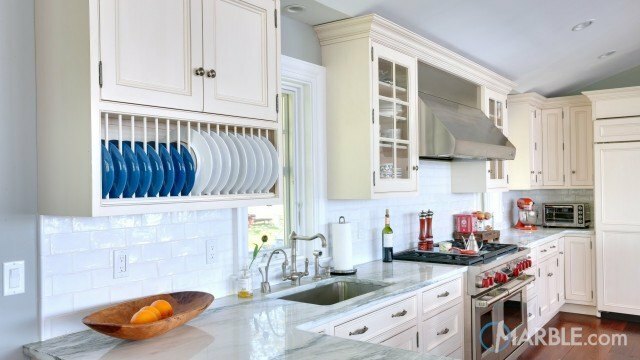 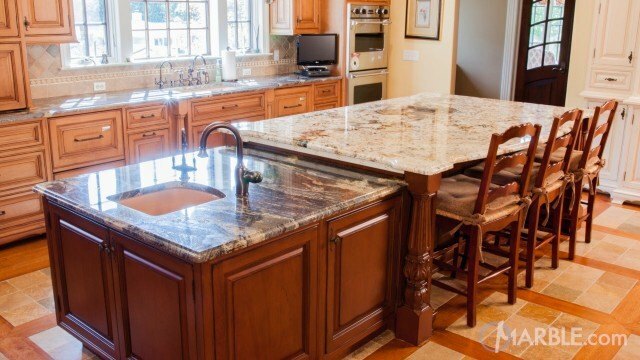 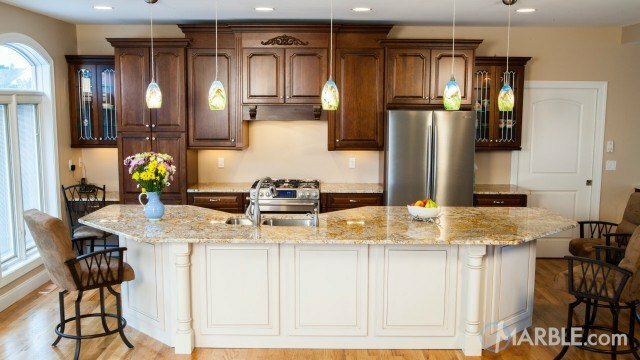 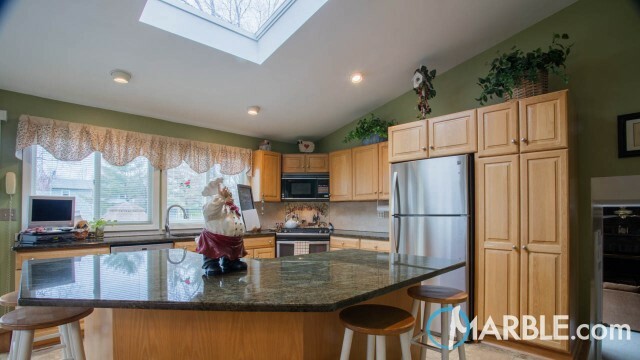 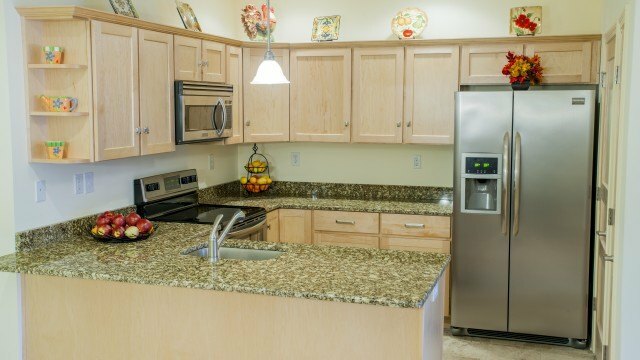 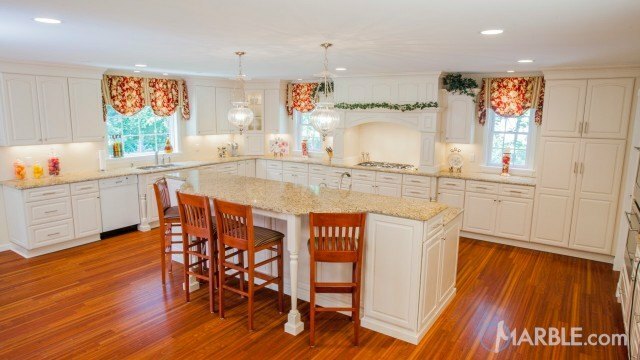 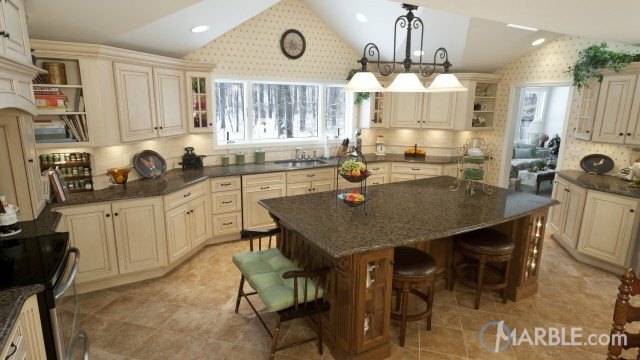 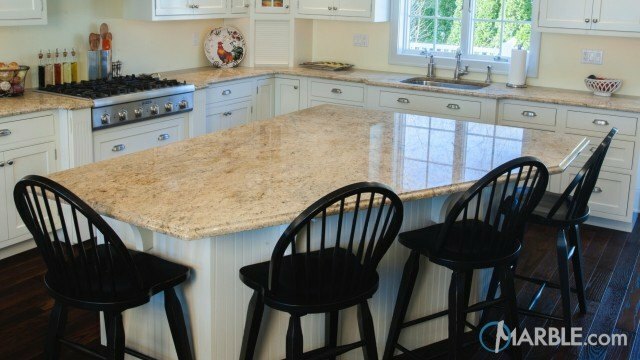 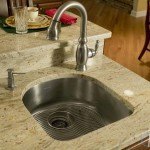 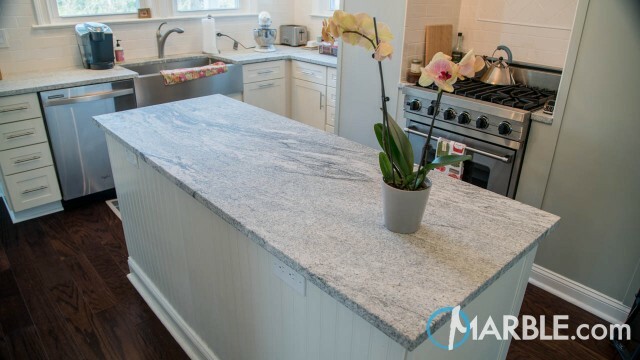 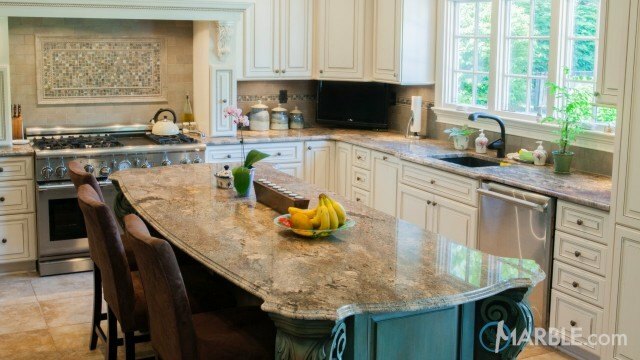 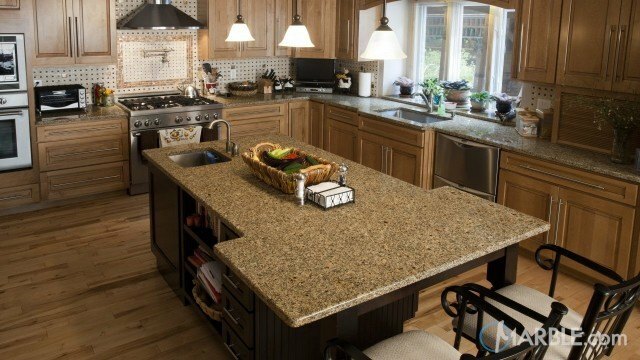 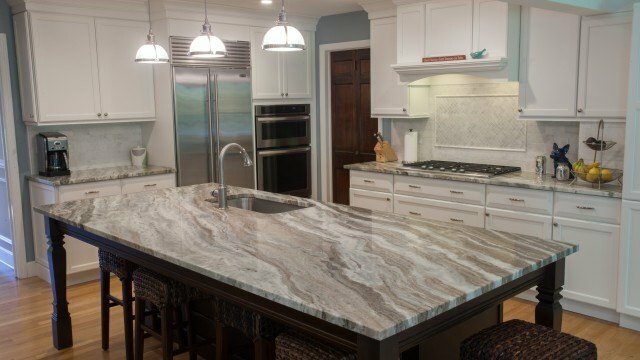 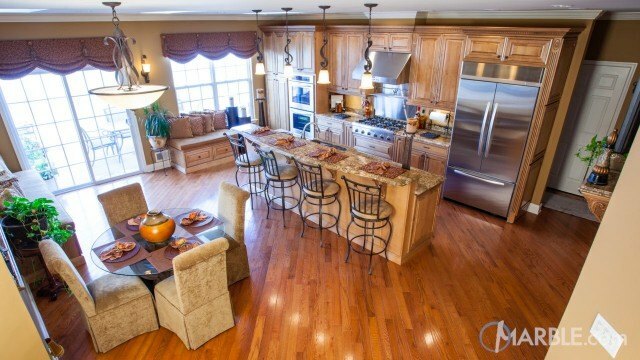 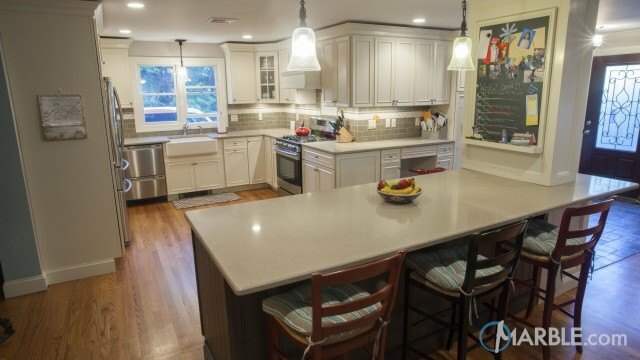 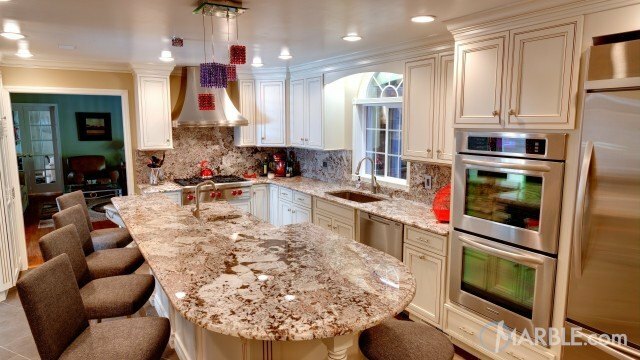 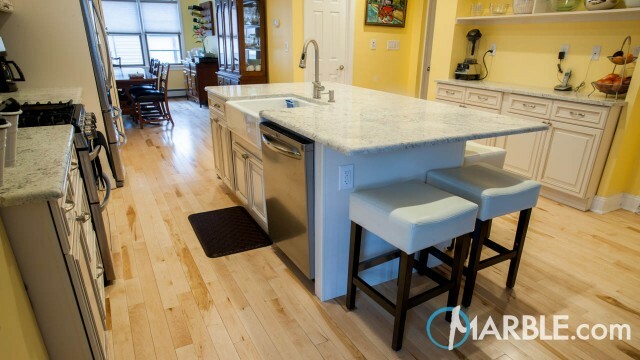 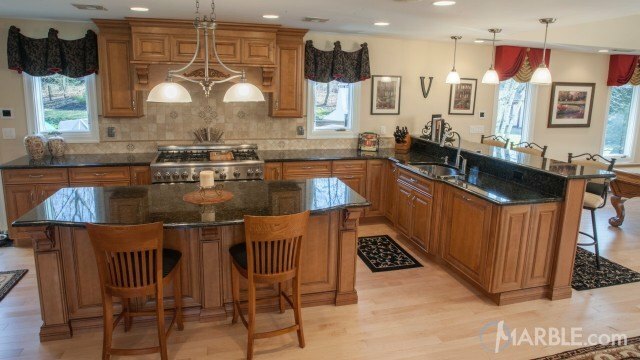 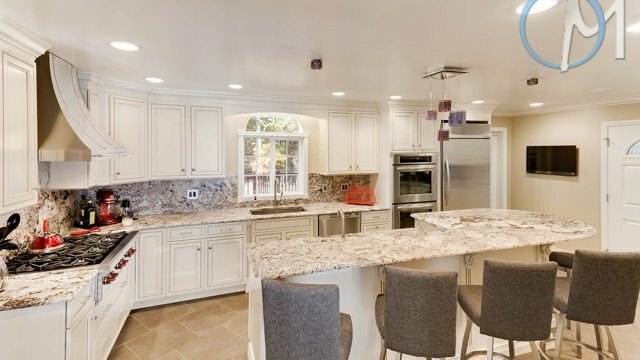 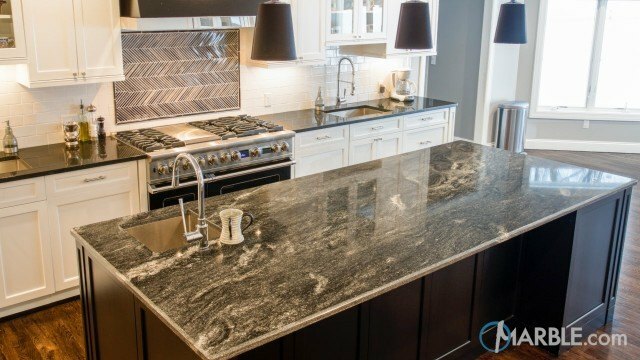 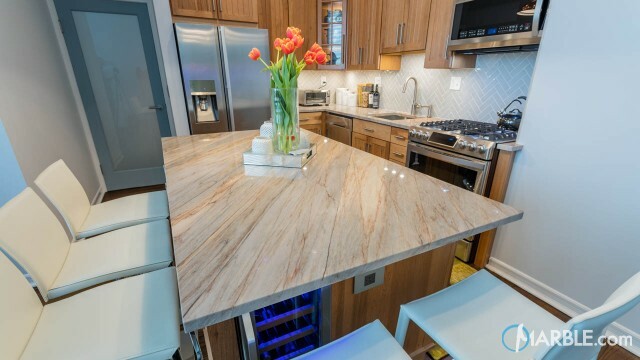 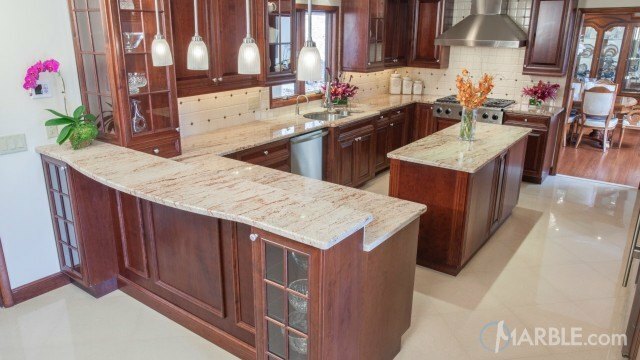 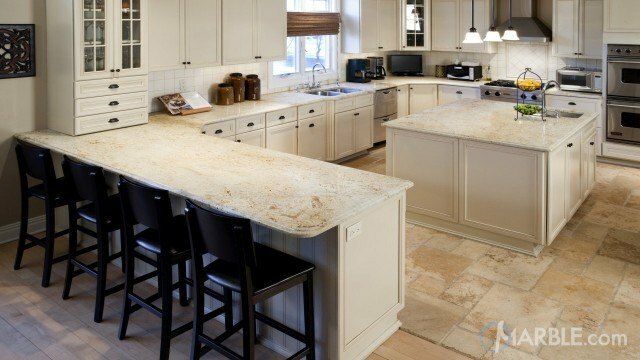 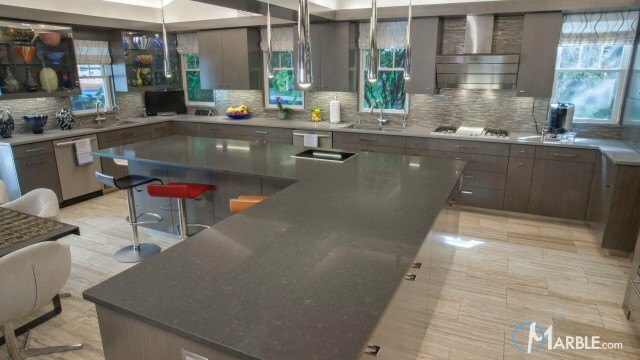 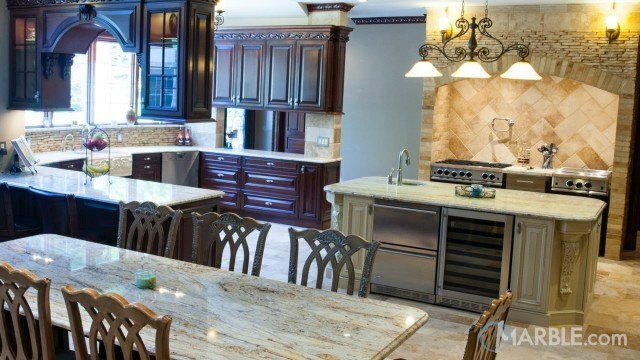 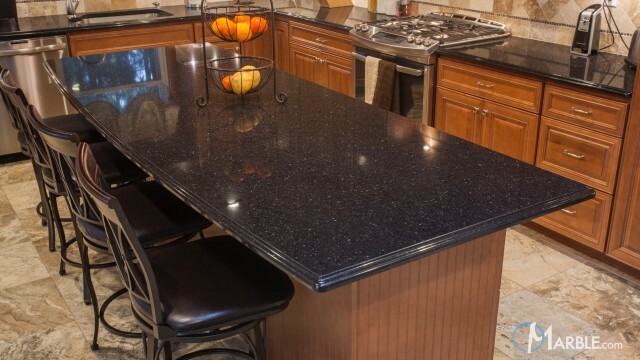 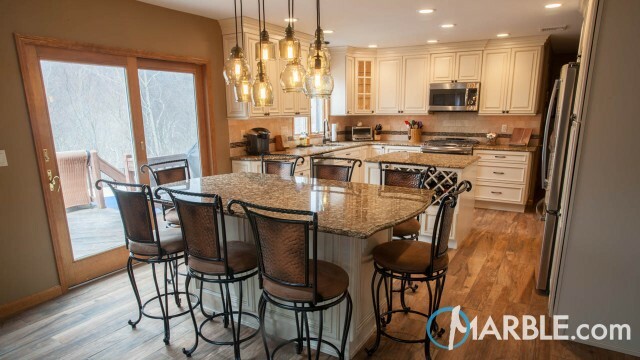 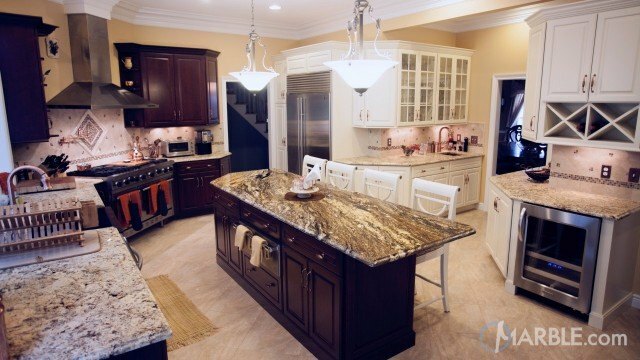 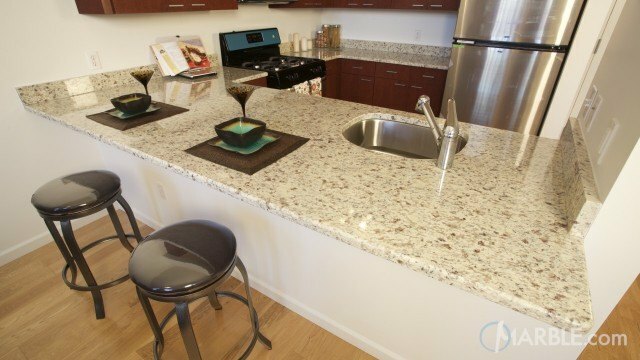 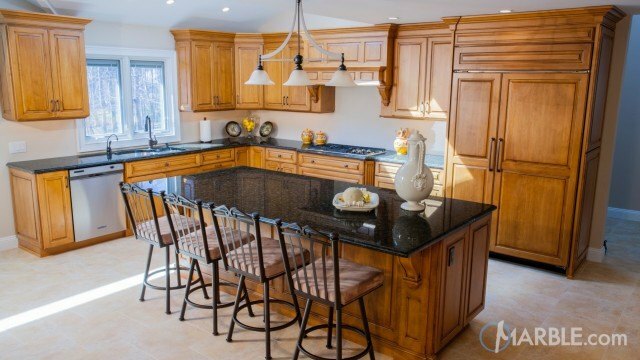 A multi layered island includes a sink and prep area separated from a four-person breakfast bar. 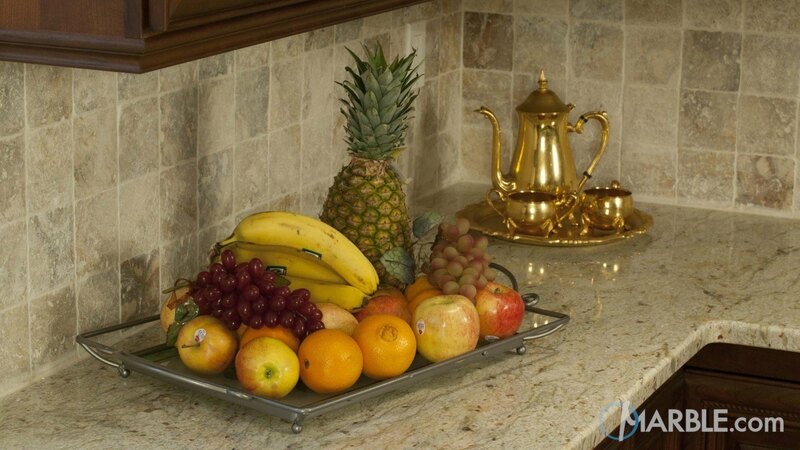 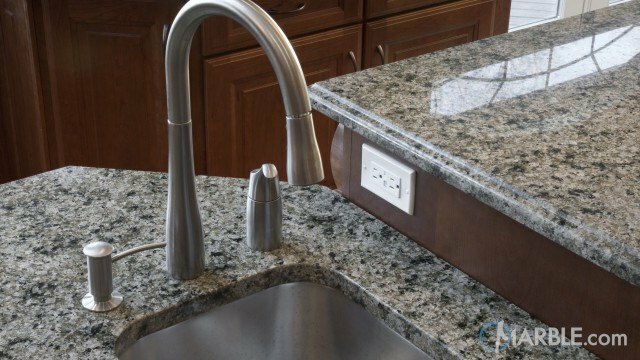 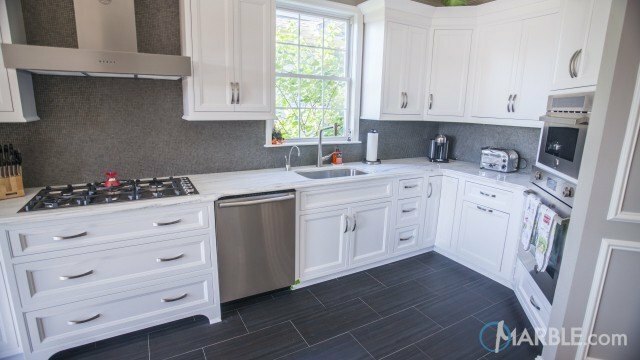 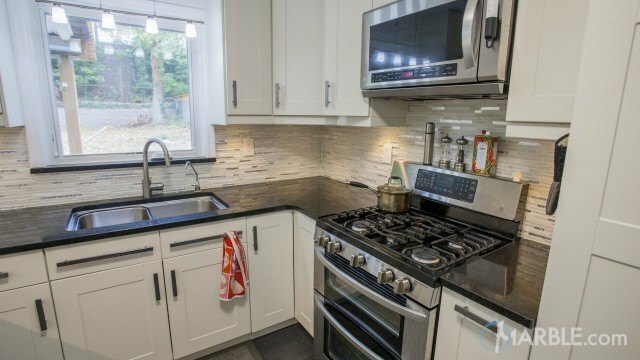 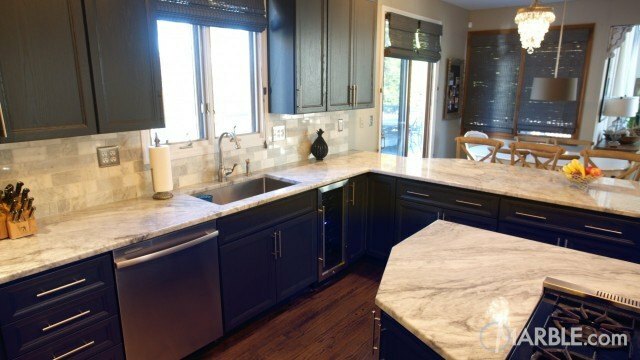 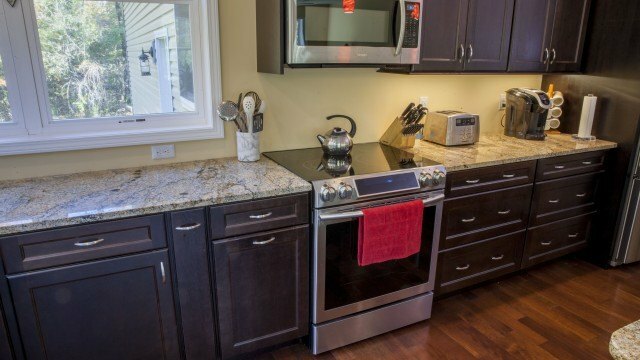 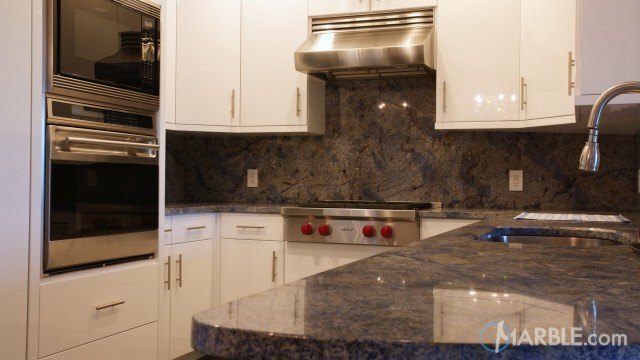 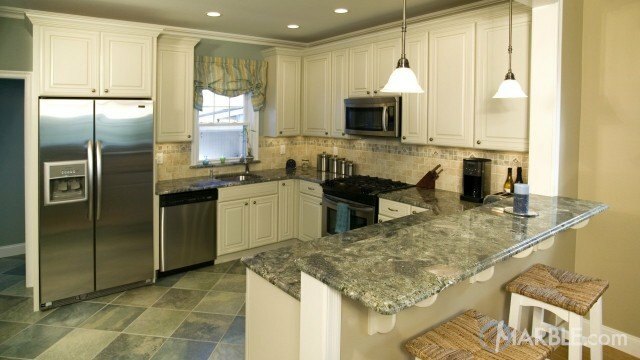 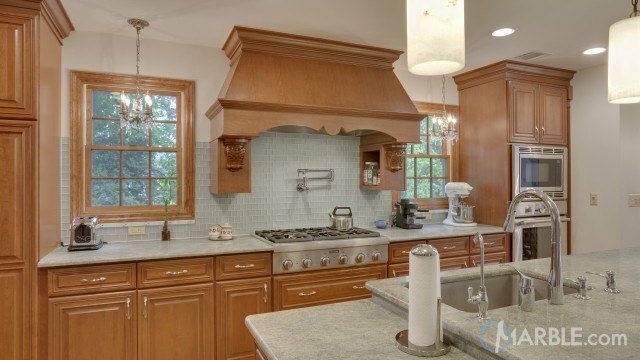 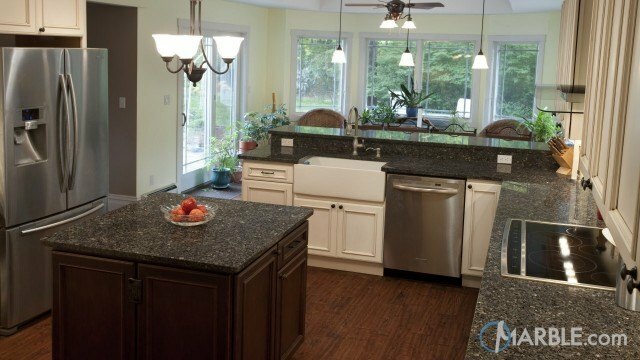 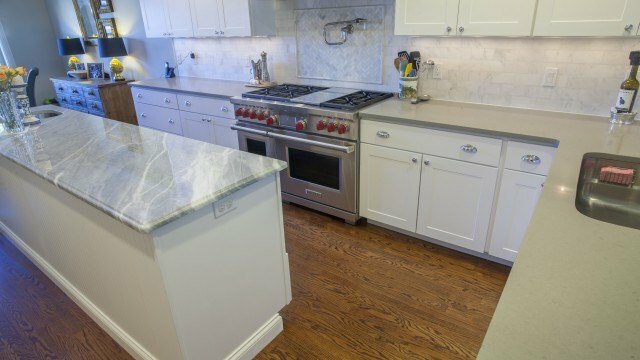 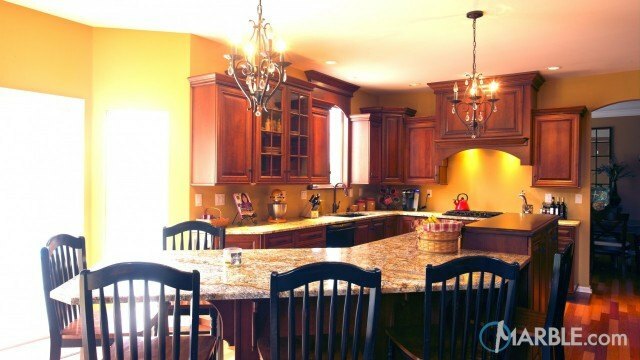 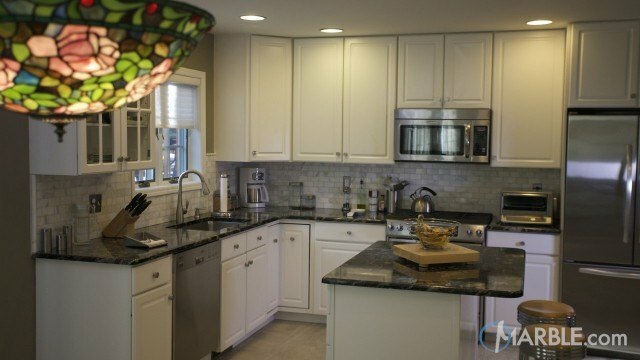 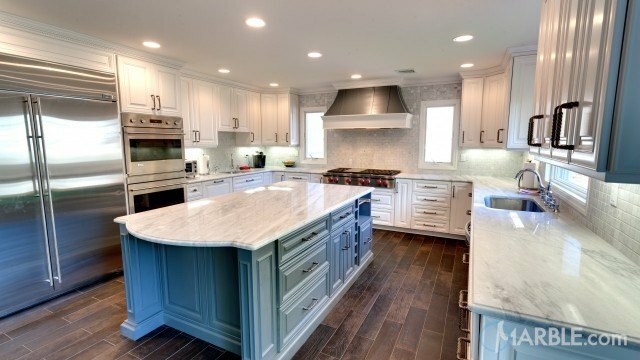 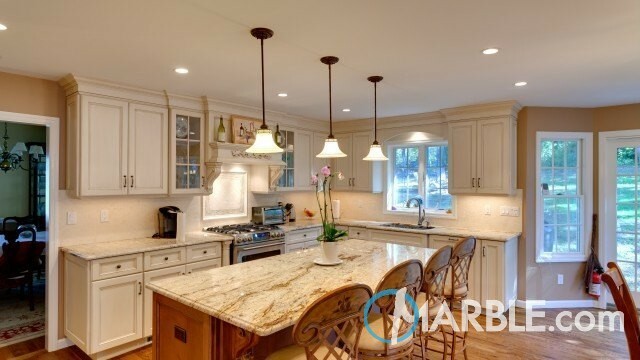 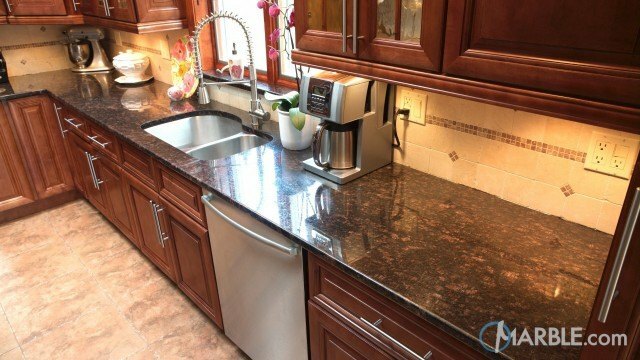 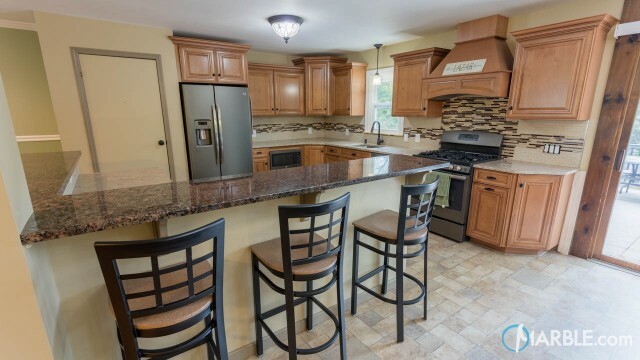 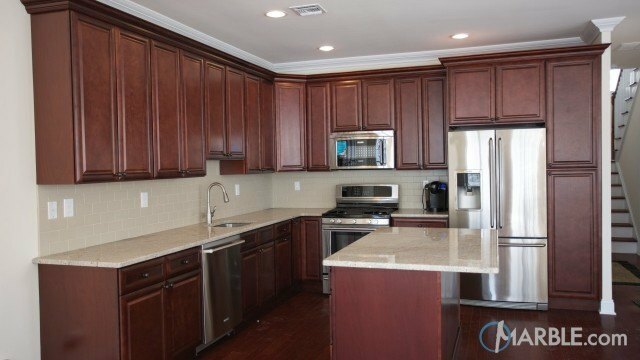 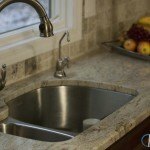 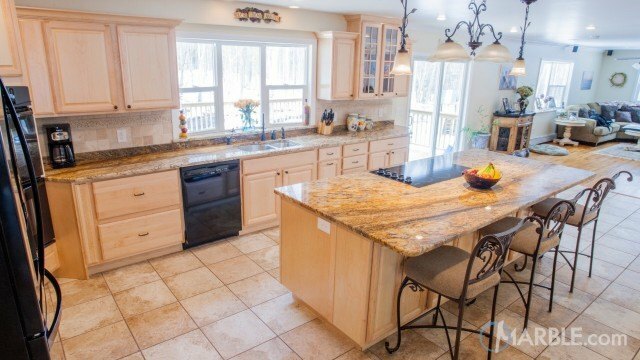 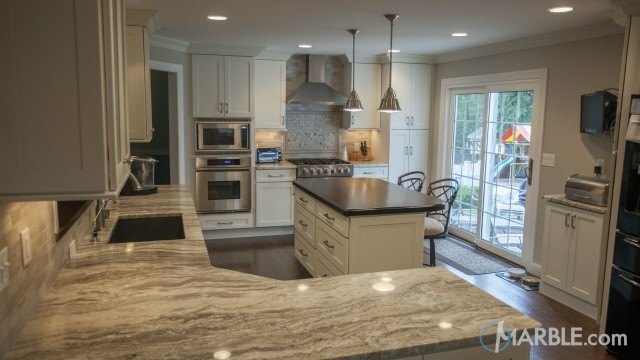 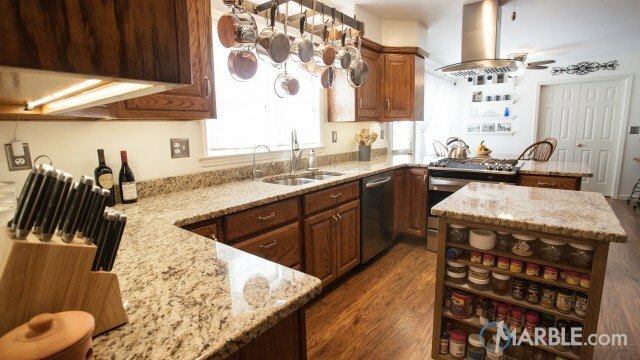 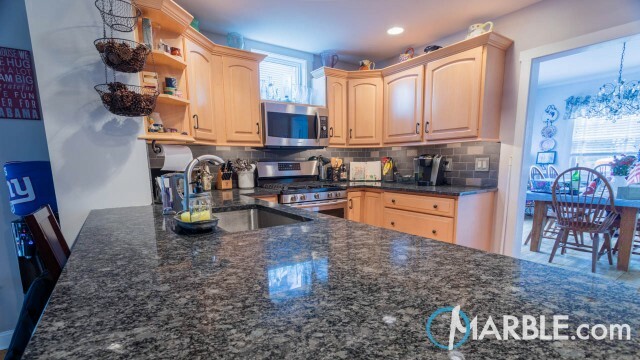 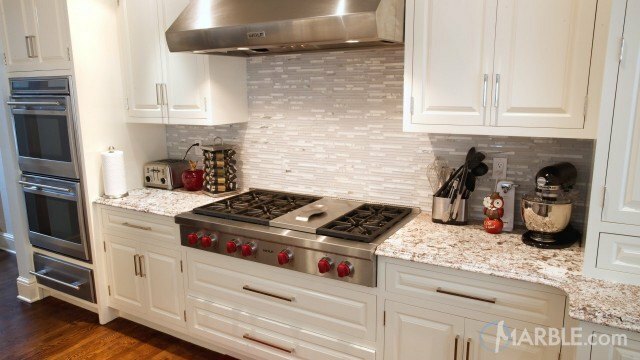 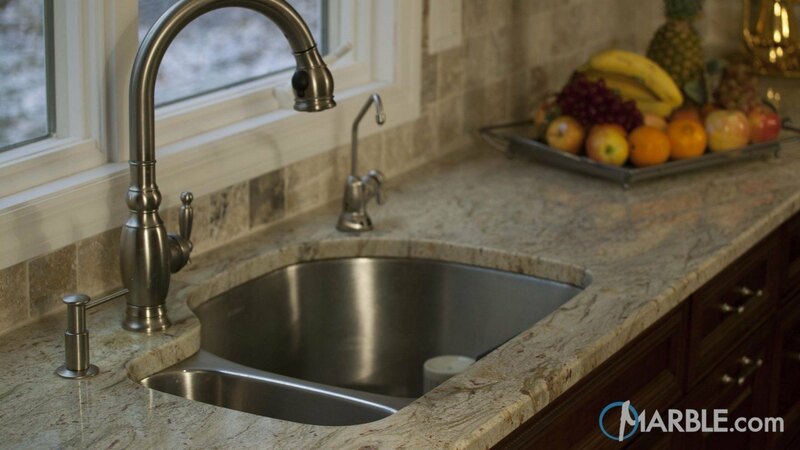 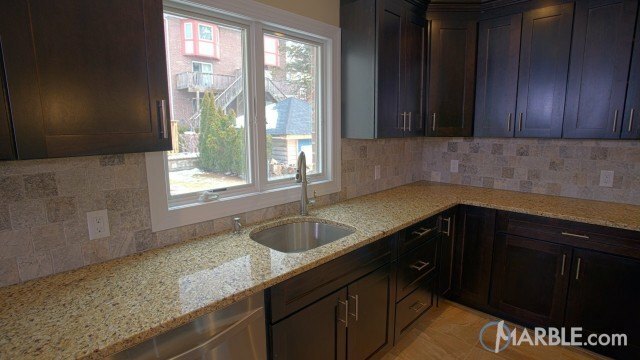 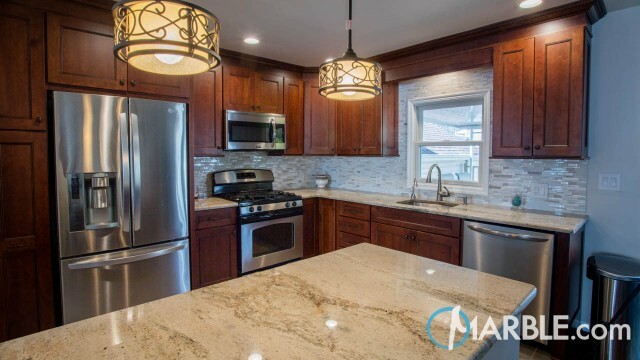 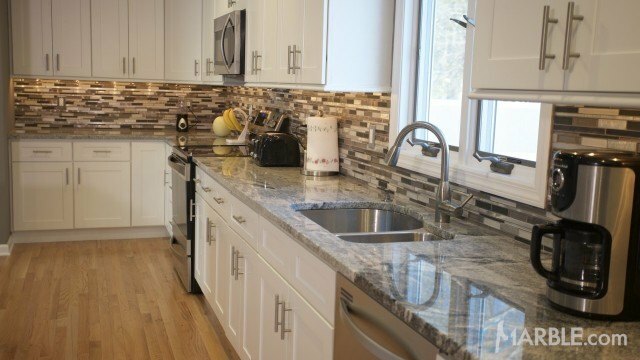 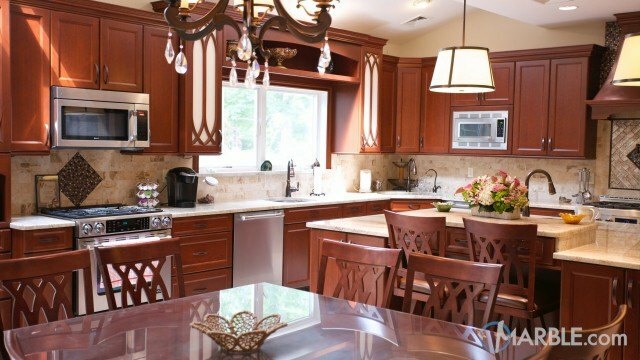 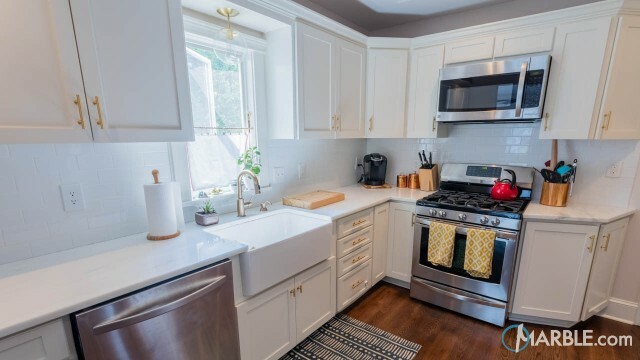 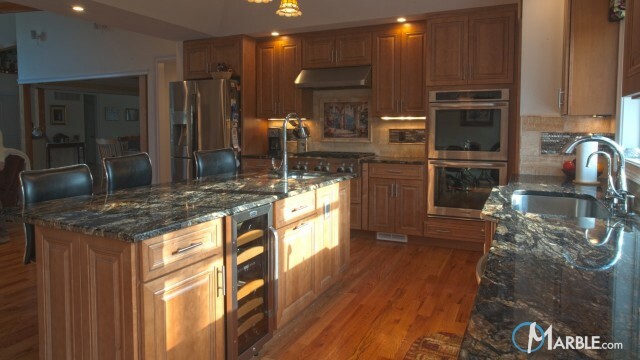 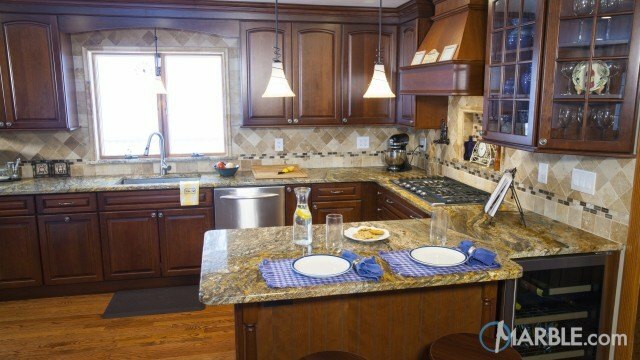 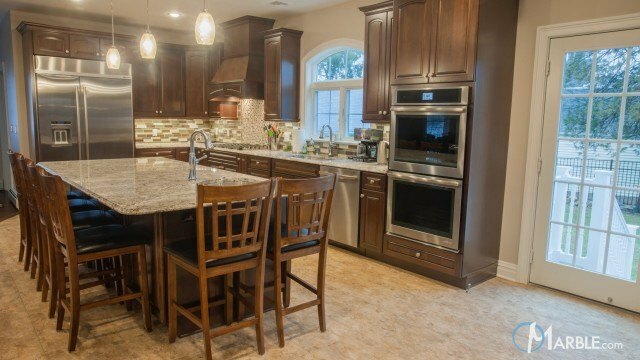 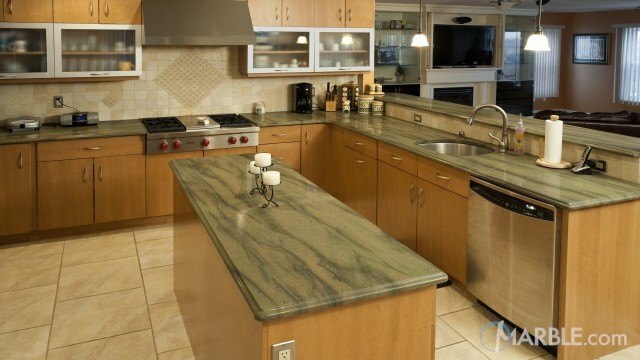 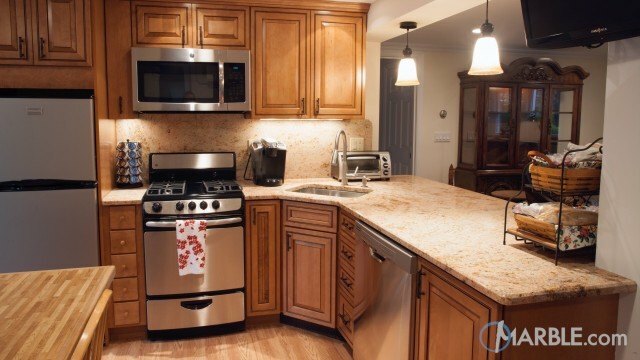 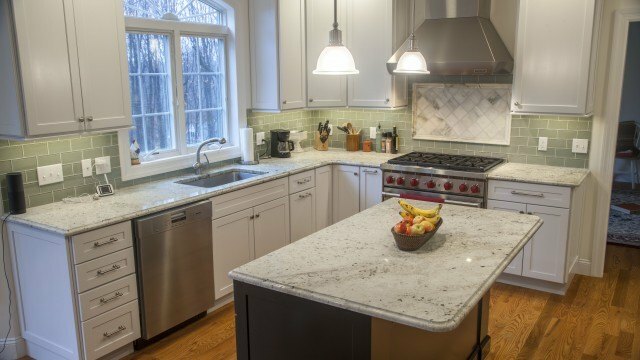 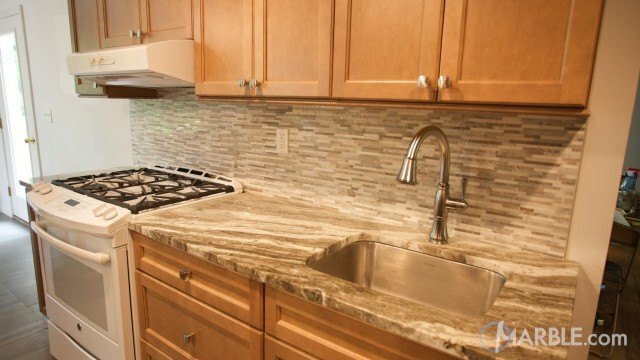 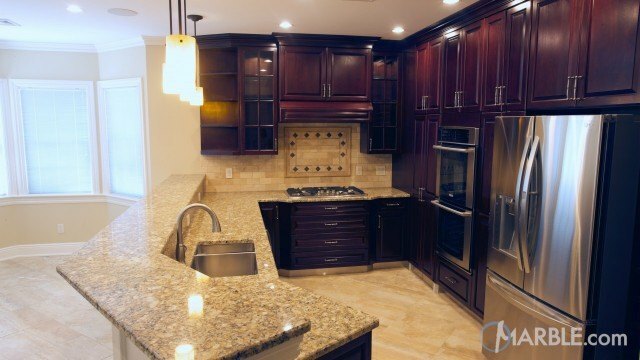 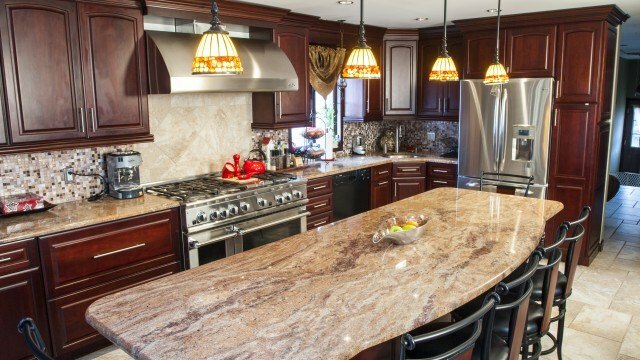 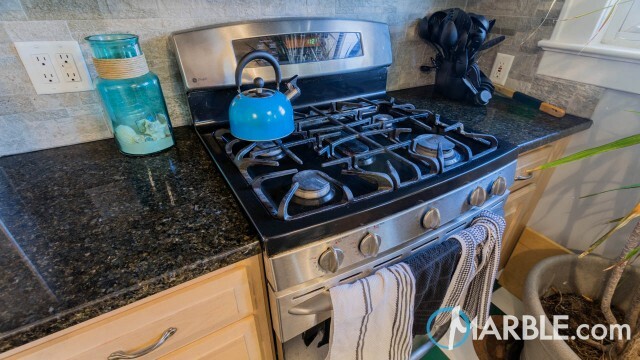 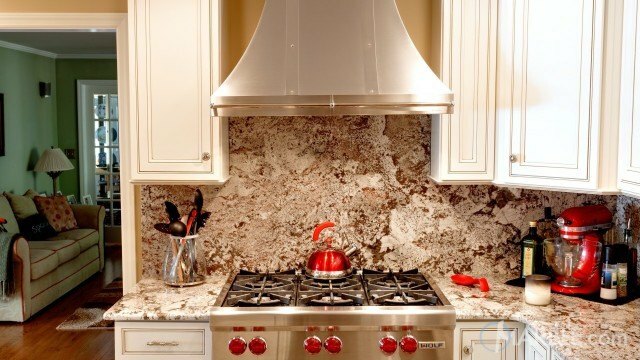 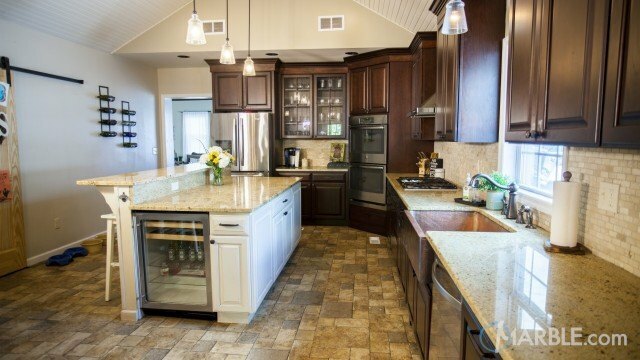 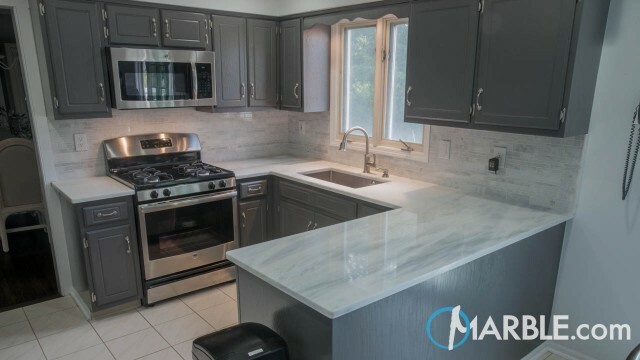 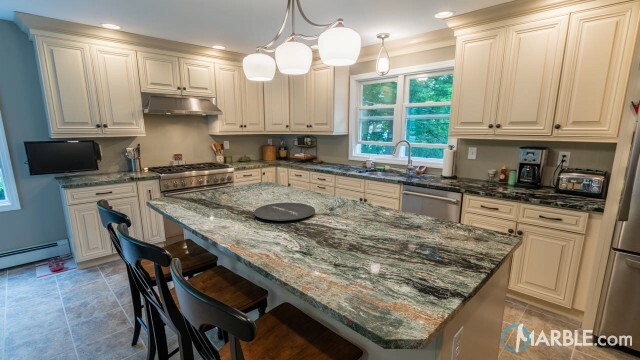 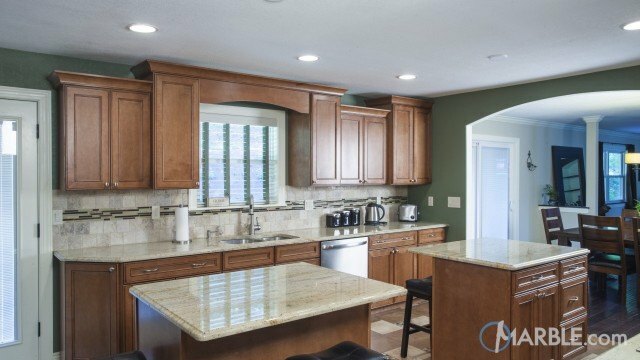 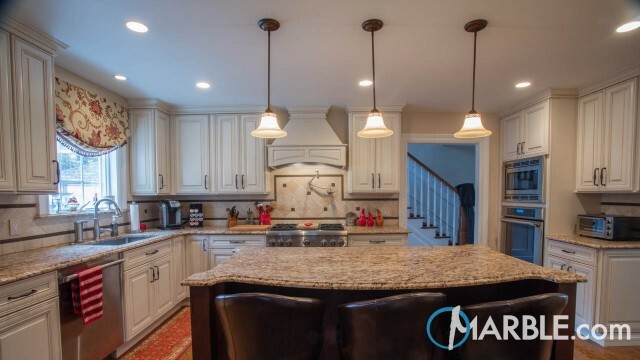 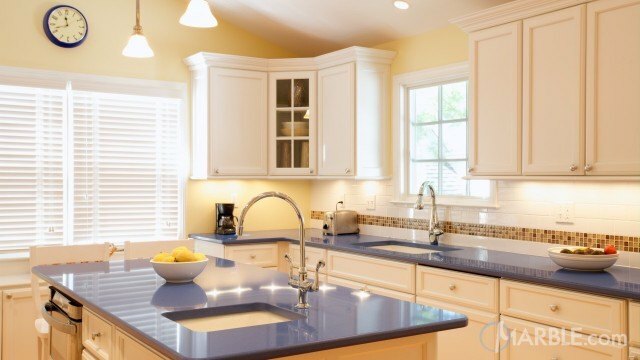 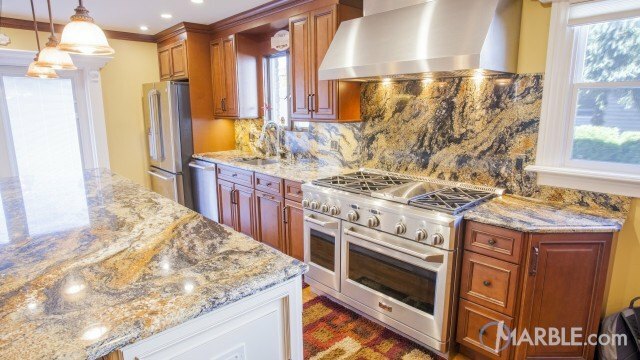 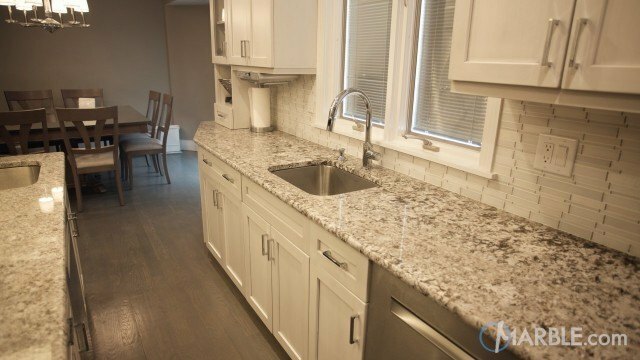 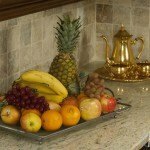 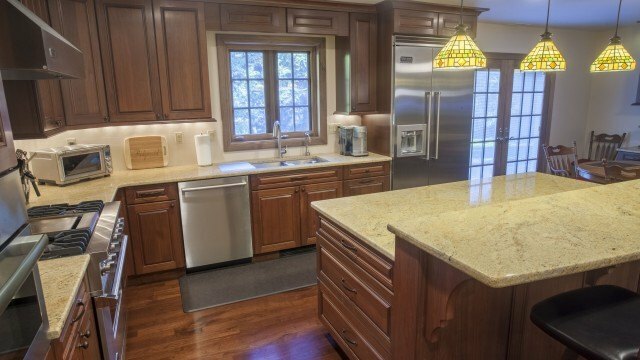 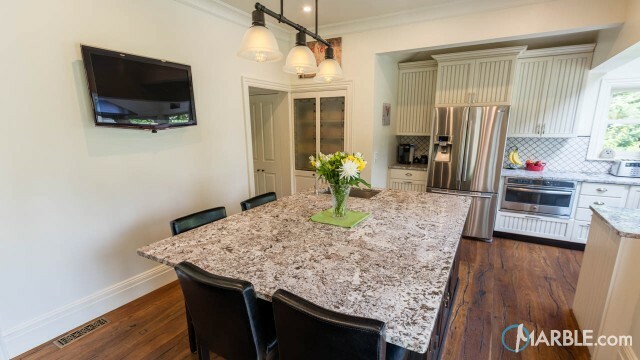 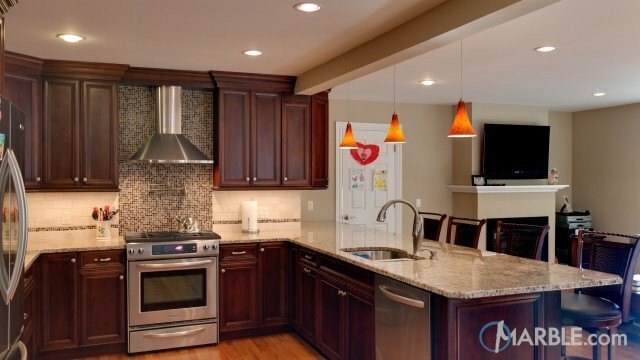 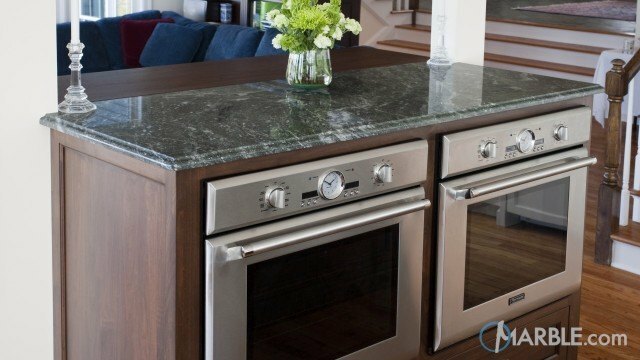 Stainless steel appliances match the color of the stone and fit beautifully into this kitchen.